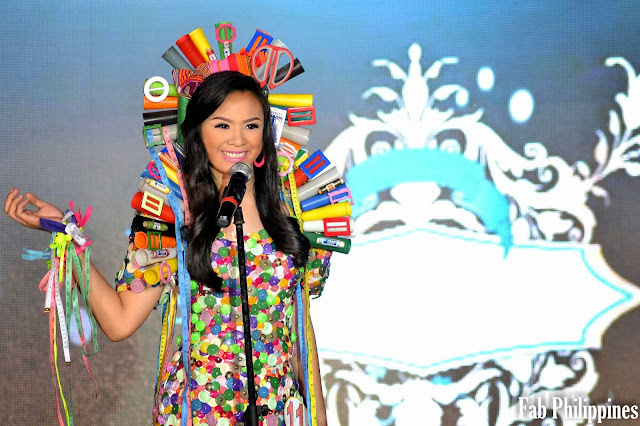 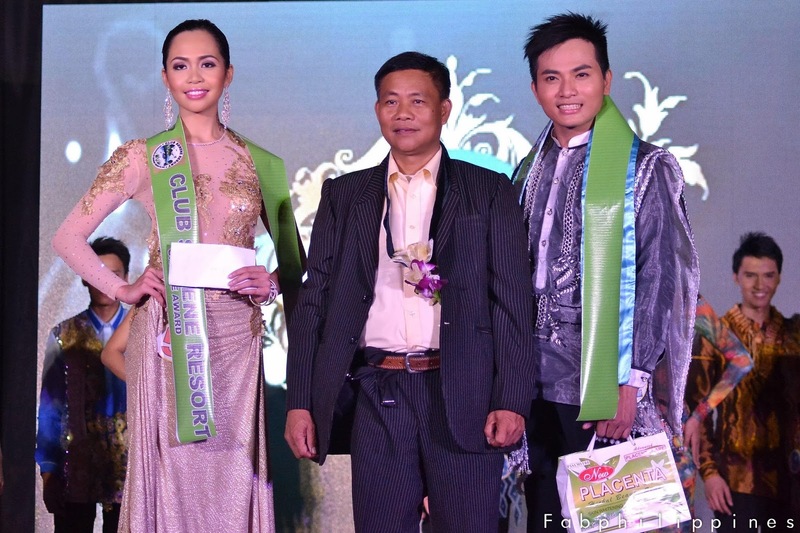 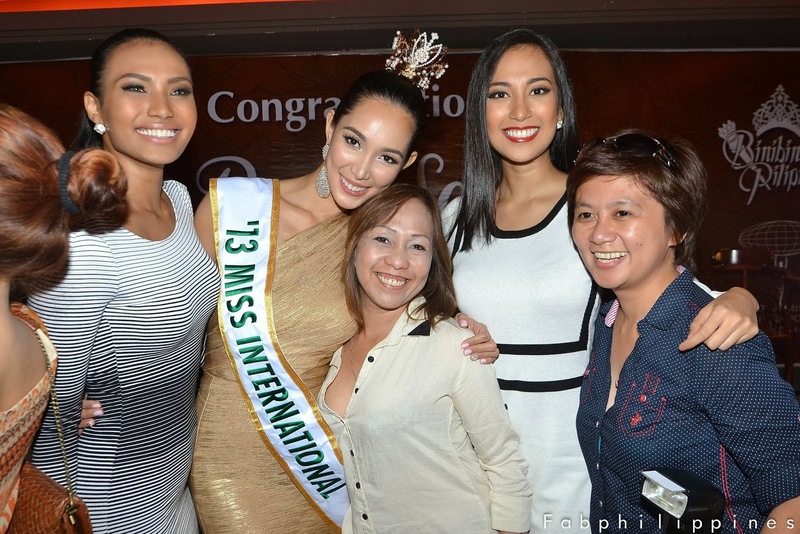 The new Miss International plans to continue reaching out to typhoon victims. 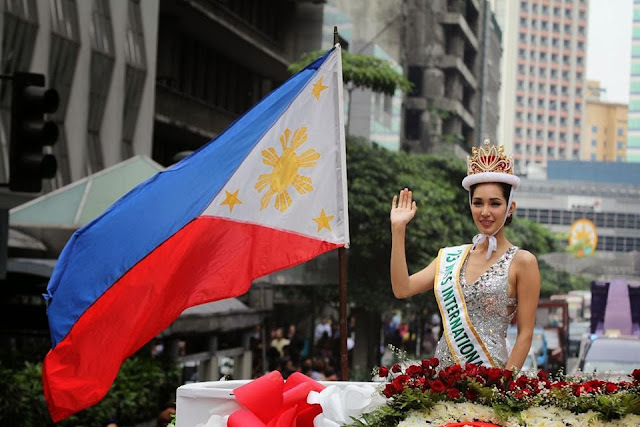 Miss International 2013 Bea Rose Santiago will be greeting all her fellow Filipinos in Makati and Quezon City today.The parade will kick off the Makati City Fire Station at 12:00NN, and will traverse Ayala Avenue. Bea's victory parade will continue at 3:00PM around Araneta Center and will culminate at the Gateway Pavillion, where fans and admirers can meet Bea up close. 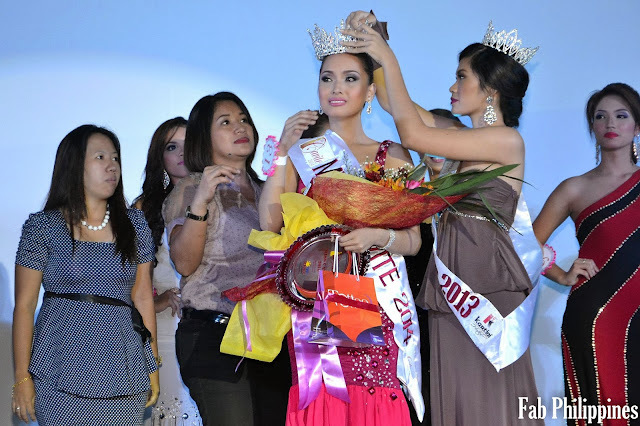 Bea has been very busy since she came back home last December 21. Upon her arrival, she was given a rousing welcome by the members of the press at the airport and at her official victory party last December 22 in Gateway Mall. 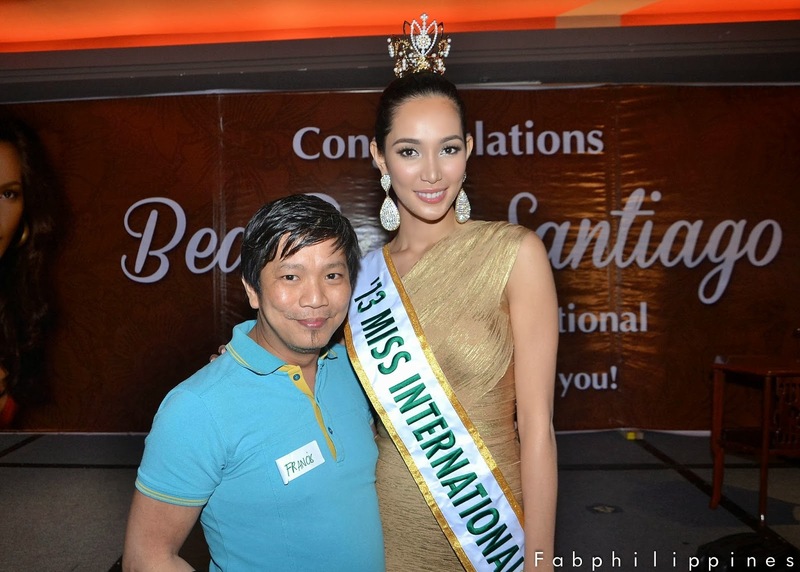 On Monday, December 23, the new Miss International paid a courtesy call to President Benigno Aquino III. 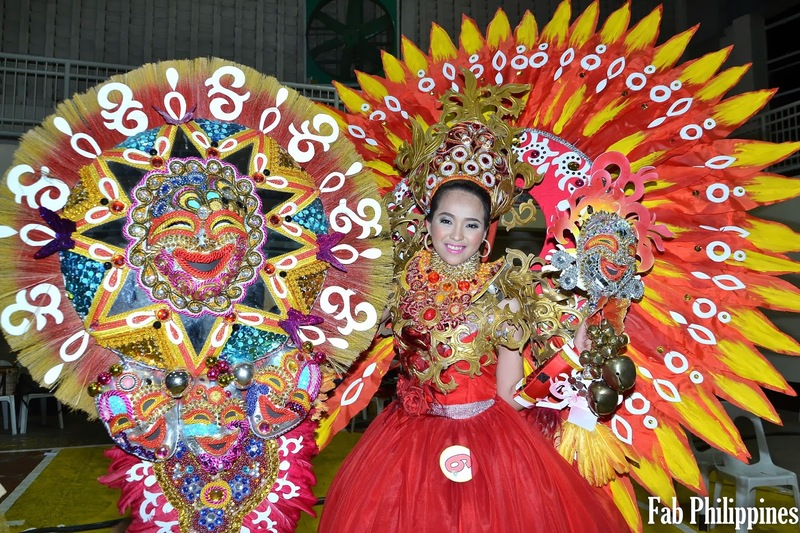 On Christmas Eve, Bea brought about smiles to the residents of the Araneta Center Gawad Kalinga village, and the typhoon survivors and beneficiaries of the Department of Social Welfare and Development, Hero Foundation, J. Amado Araneta Foundation as she helped out in distributing gifts and food packs during the Disney on Ice presents Treasure Trove Charity Show. Bea has more gift-giving activities for calamity survivors lined up in the next few days. 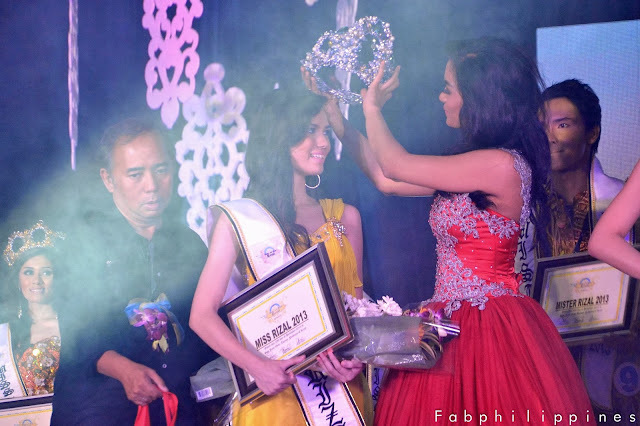 Bea's victory caps off an impressive year for Bibibiing Pilipinas Gold, following Mutya Datul's Miss Supranational 2013 victory last September, Cindy Miranda's top 10 finish in the Miss Tourism Queen International 2013 pageant in October, and Ariella Arida's 3rd runner-up place in Miss Universe 2013. 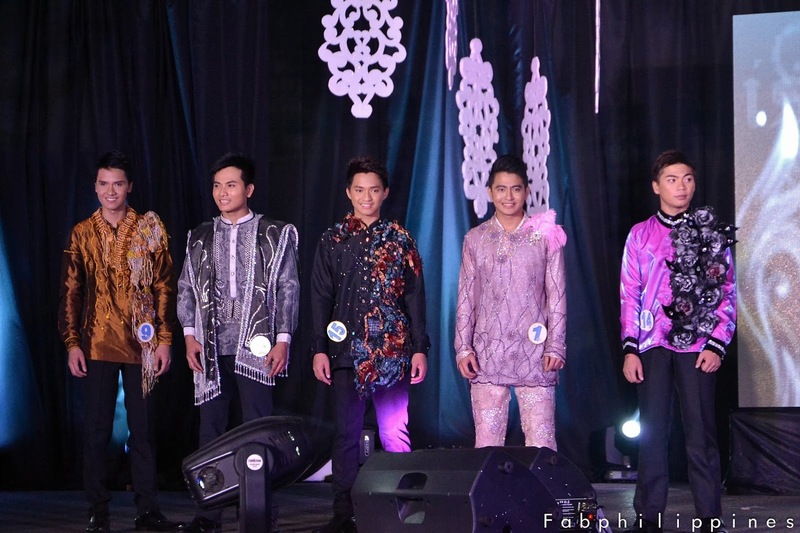 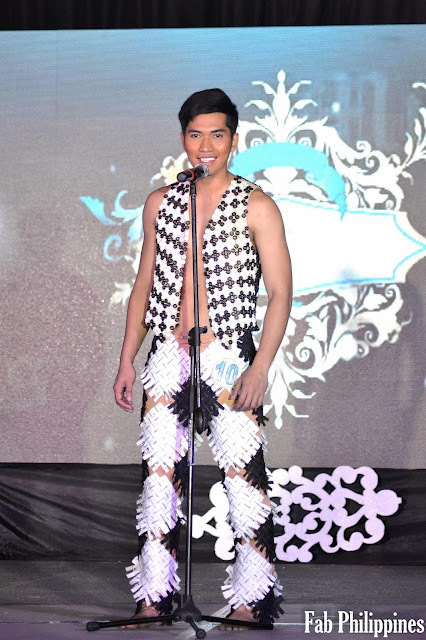 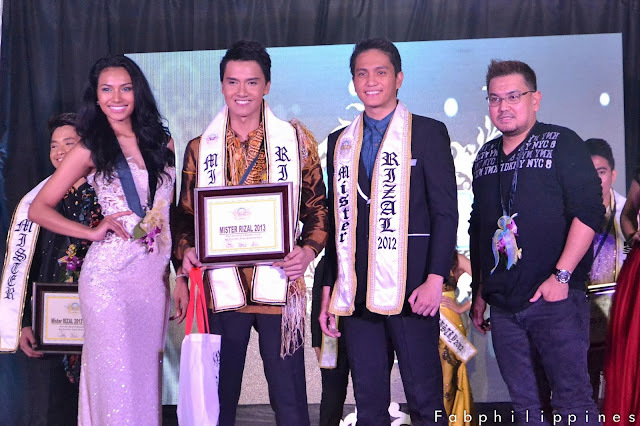 Hot on the heels of this year's batch winners, the Binibining Pilipinas 2014 pageant is sure to be a lot more exciting. 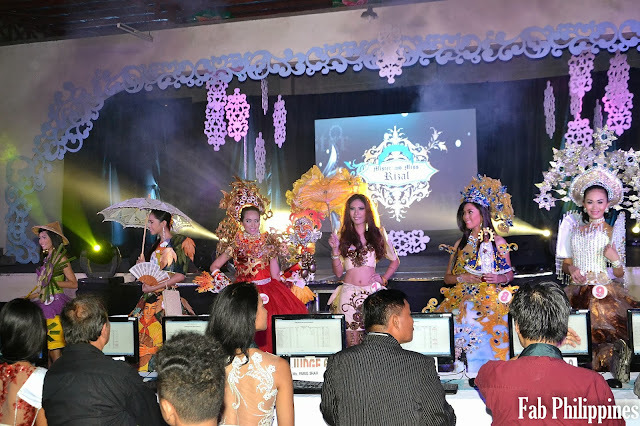 Interested applcants may submit their applications until January 15, 2014 at the Binibining Pilipinas Charities, Inc. (BPCI) office, Smart Araneta Coliseum from Mondays to Fridays, 10AM to 5PM. 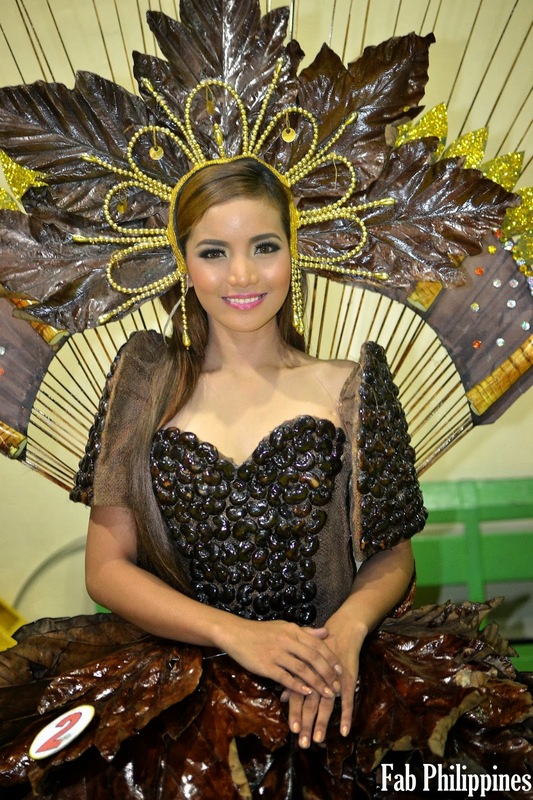 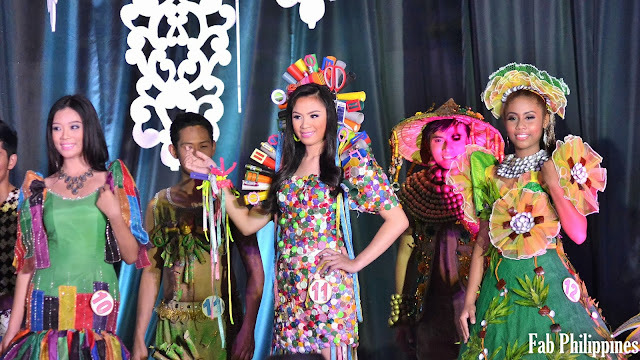 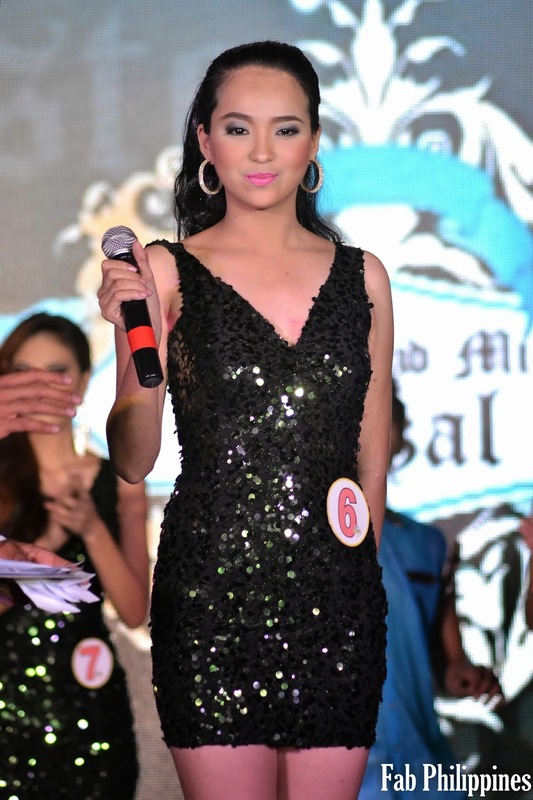 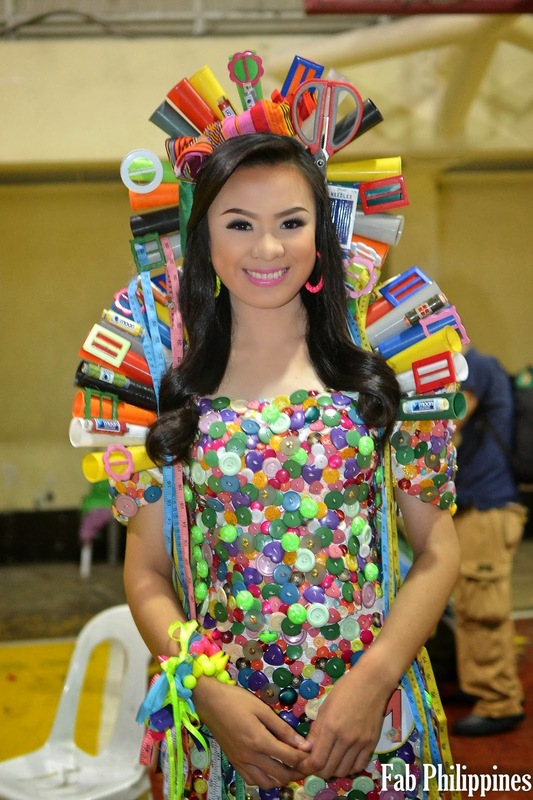 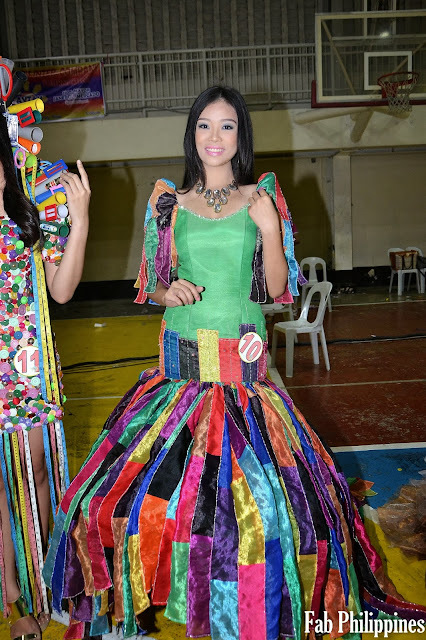 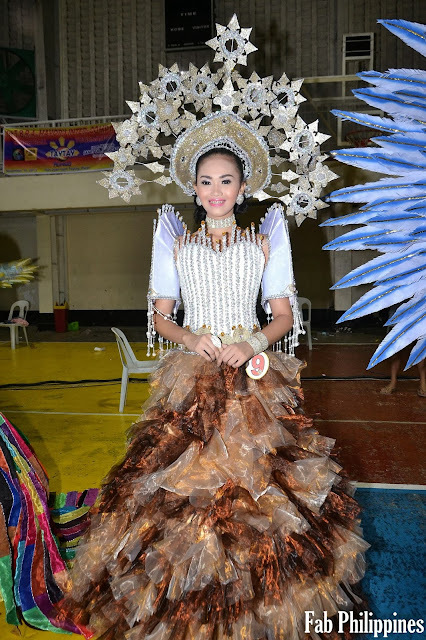 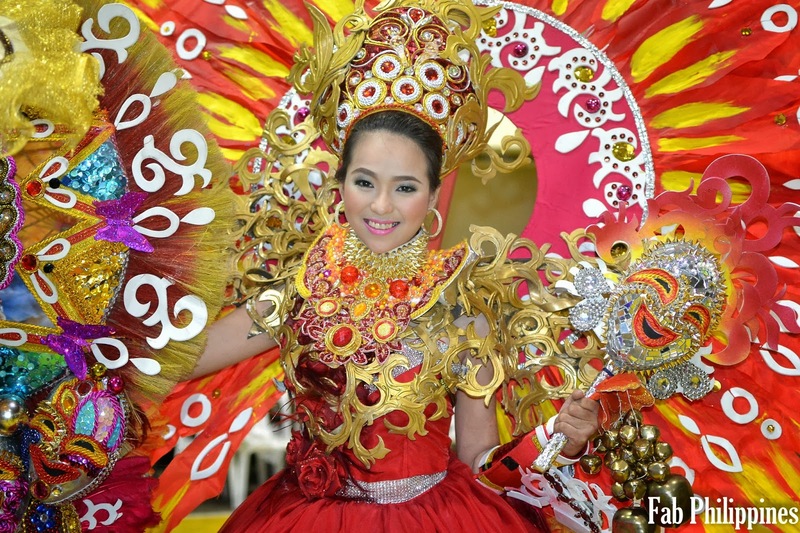 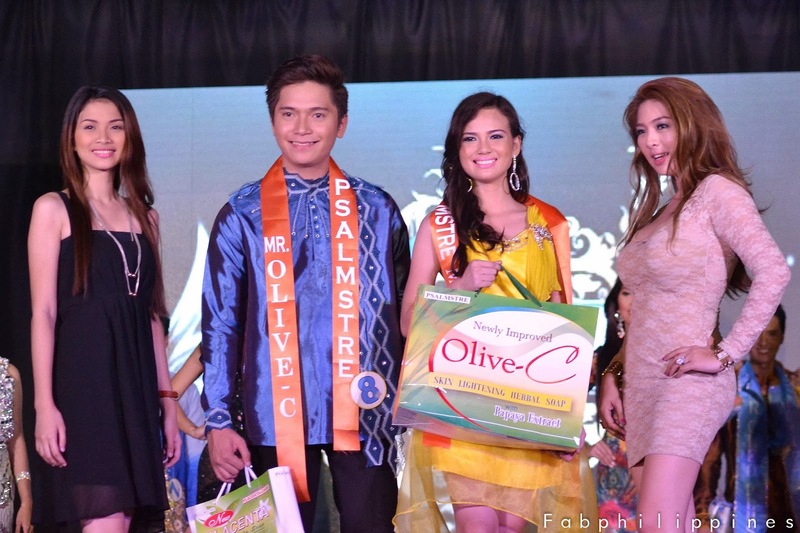 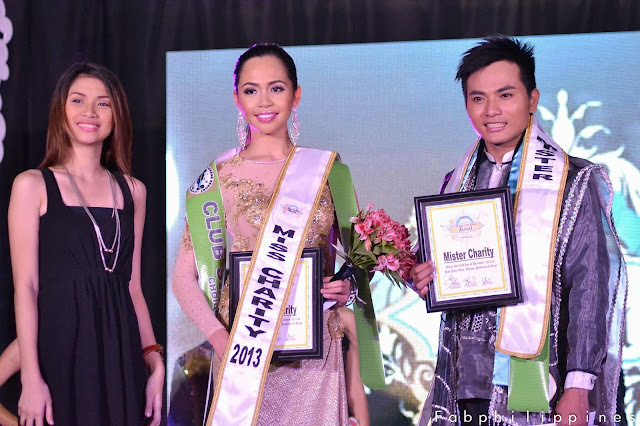 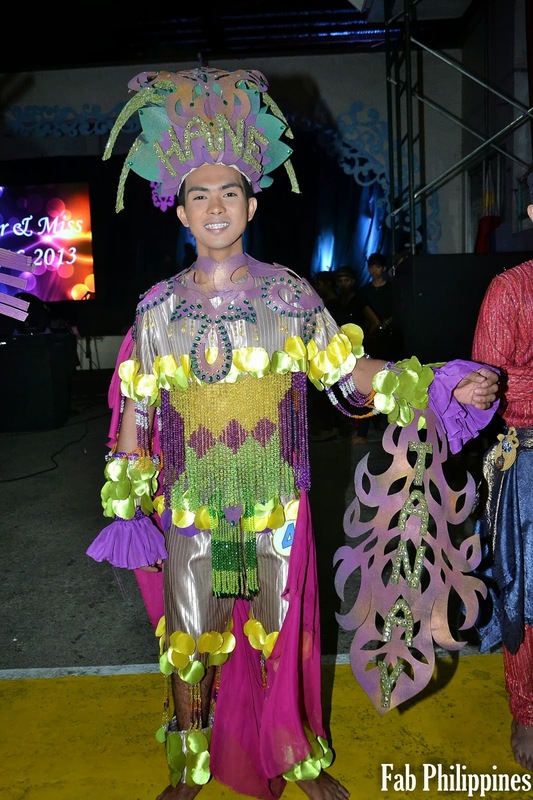 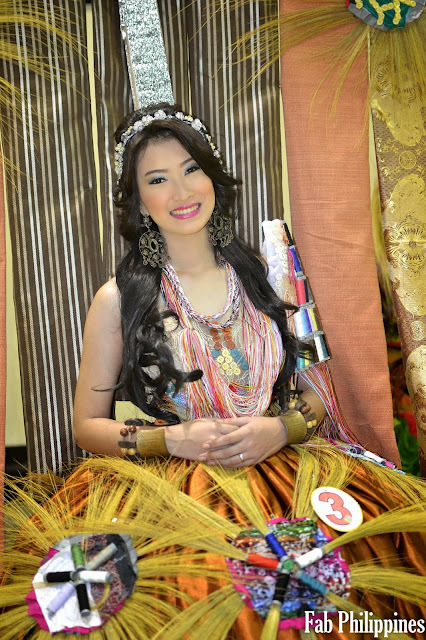 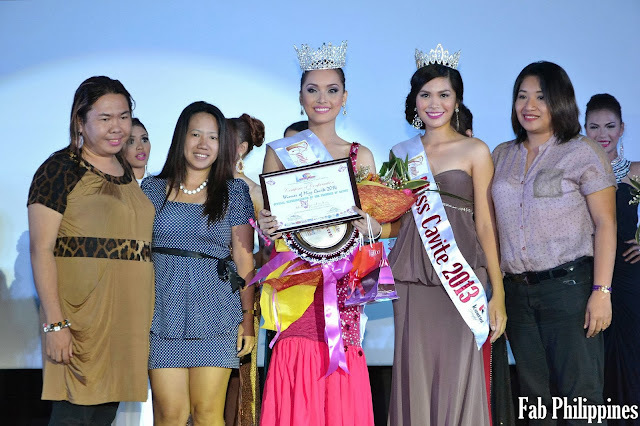 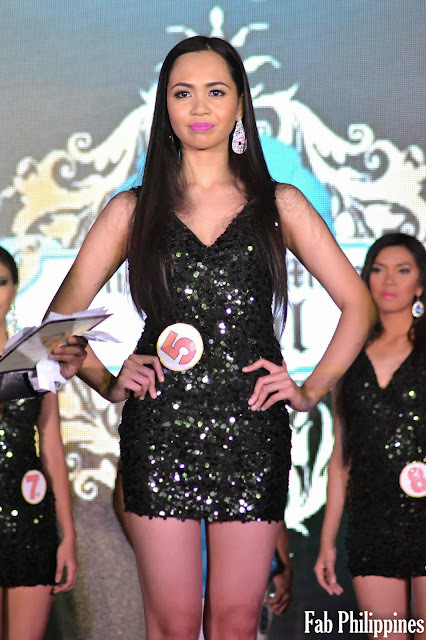 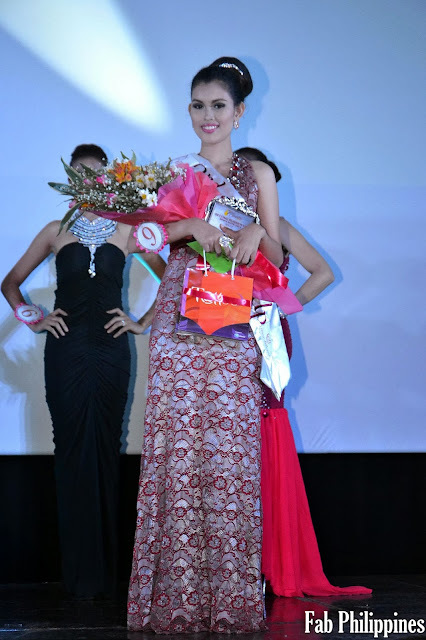 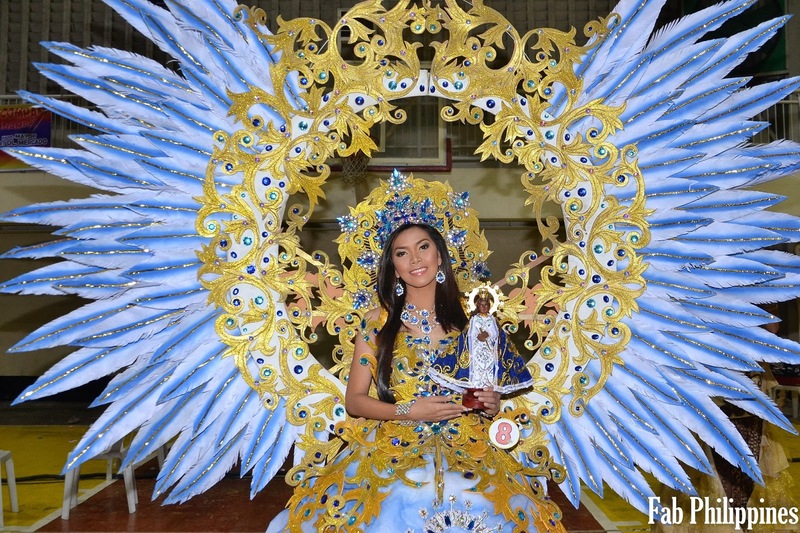 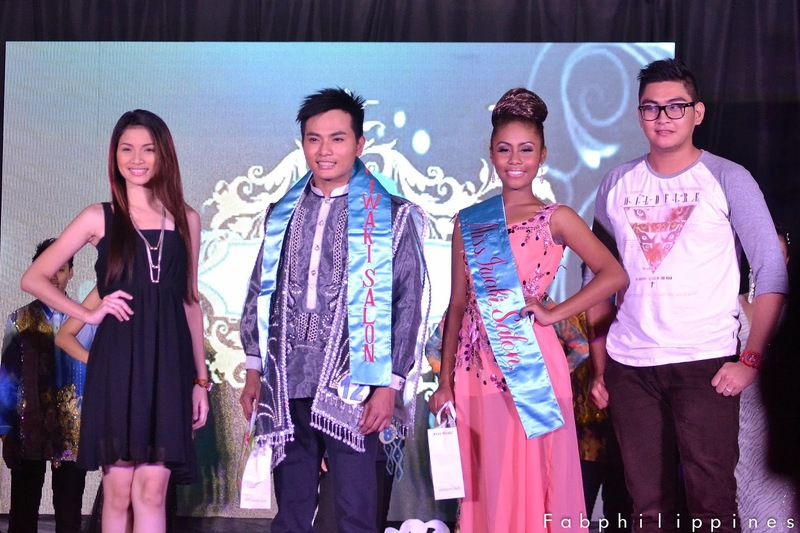 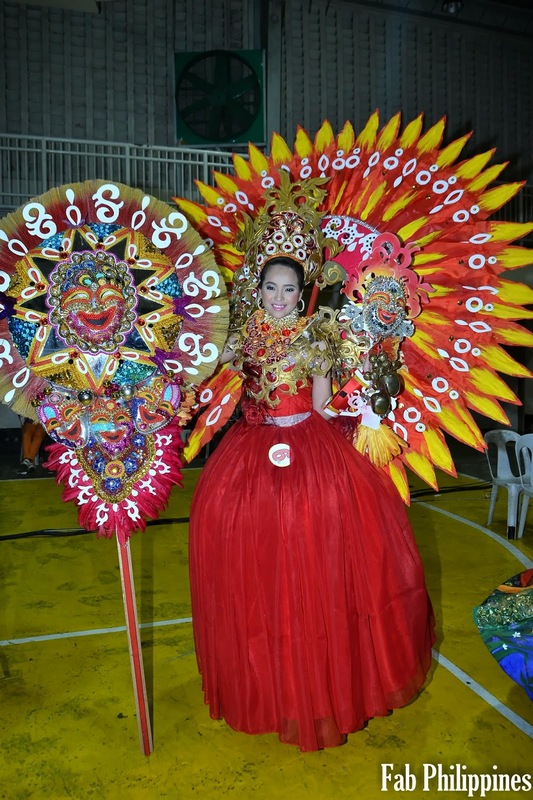 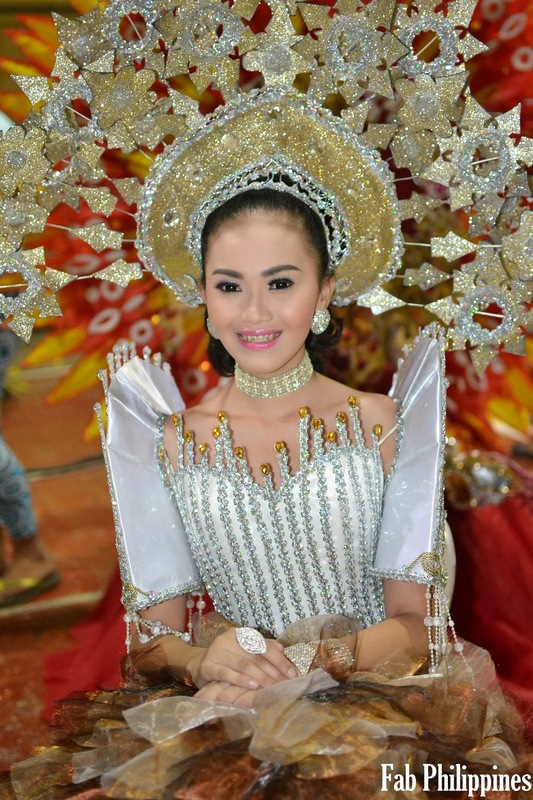 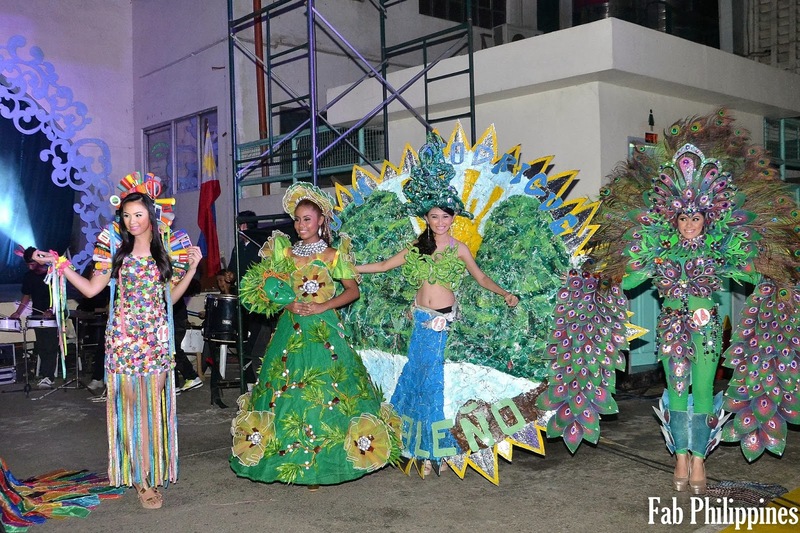 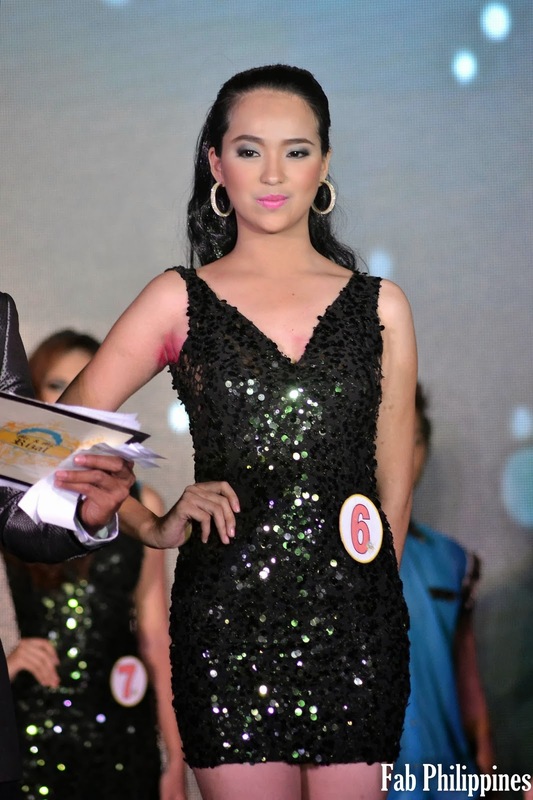 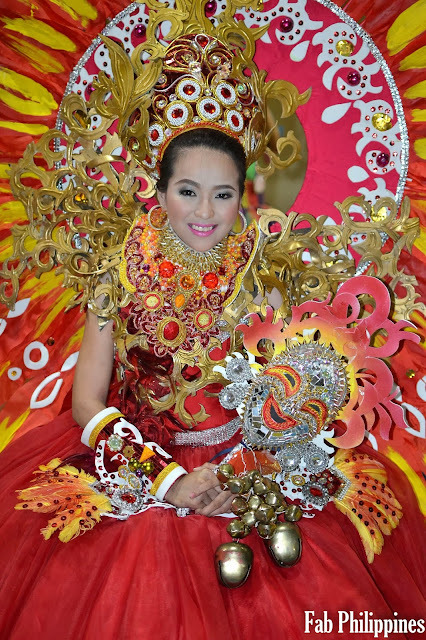 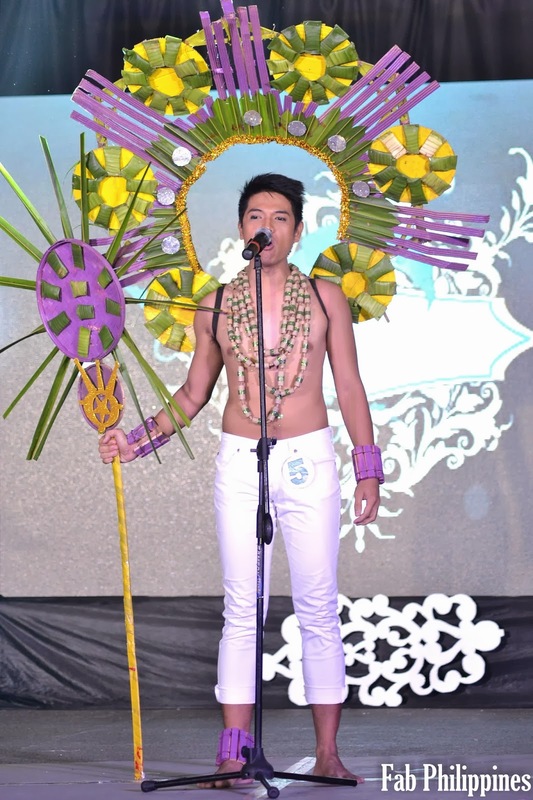 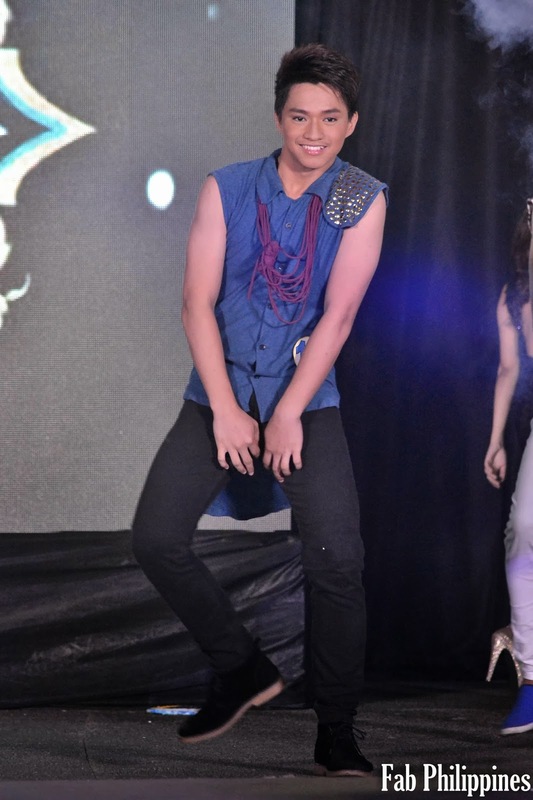 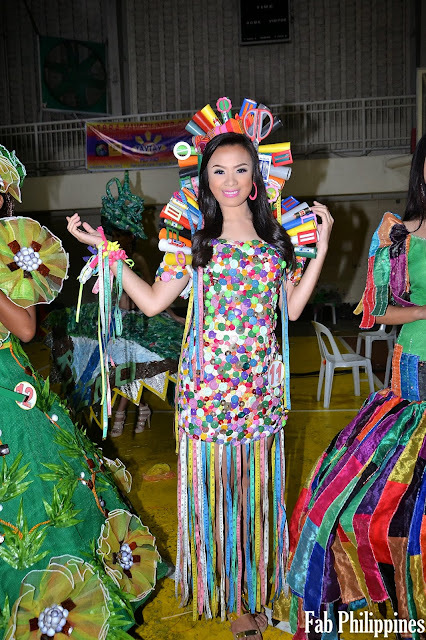 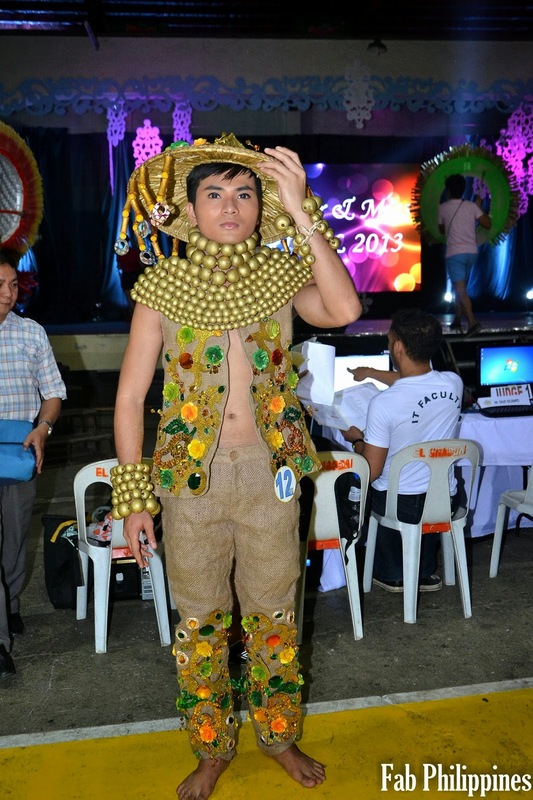 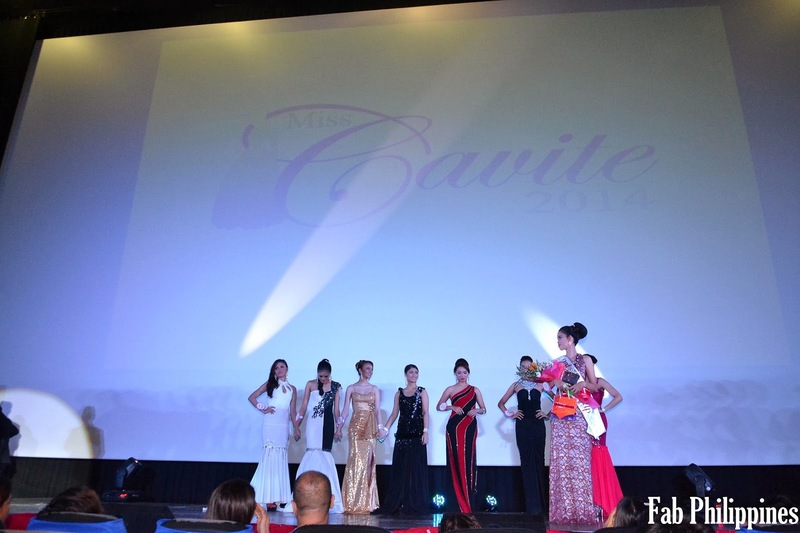 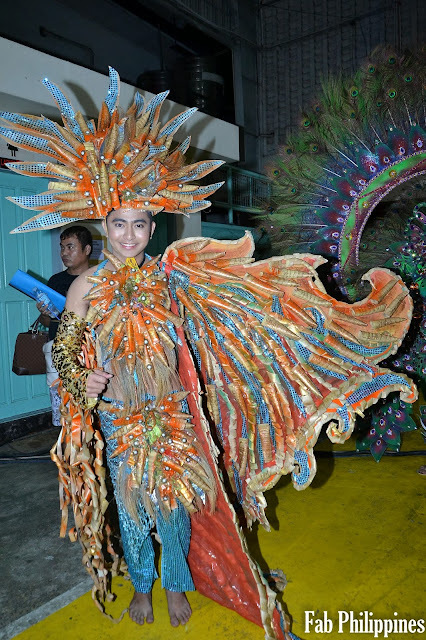 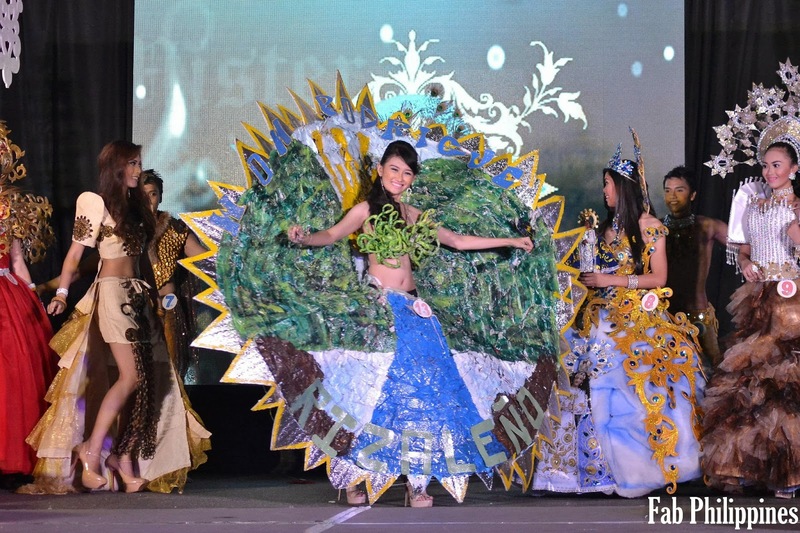 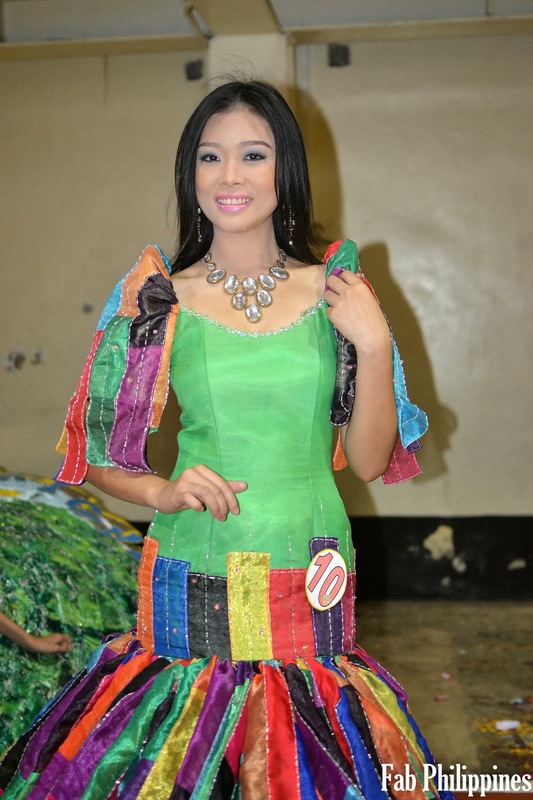 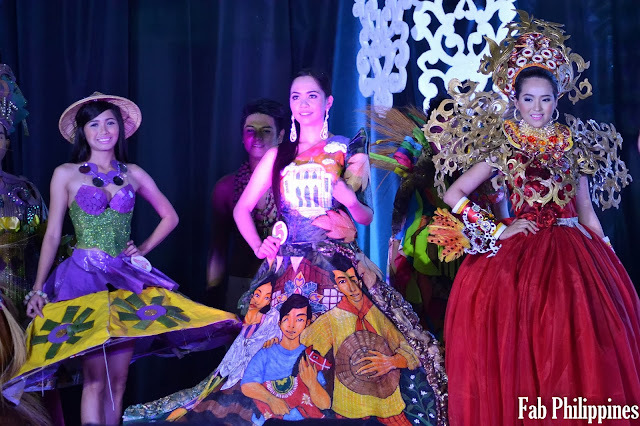 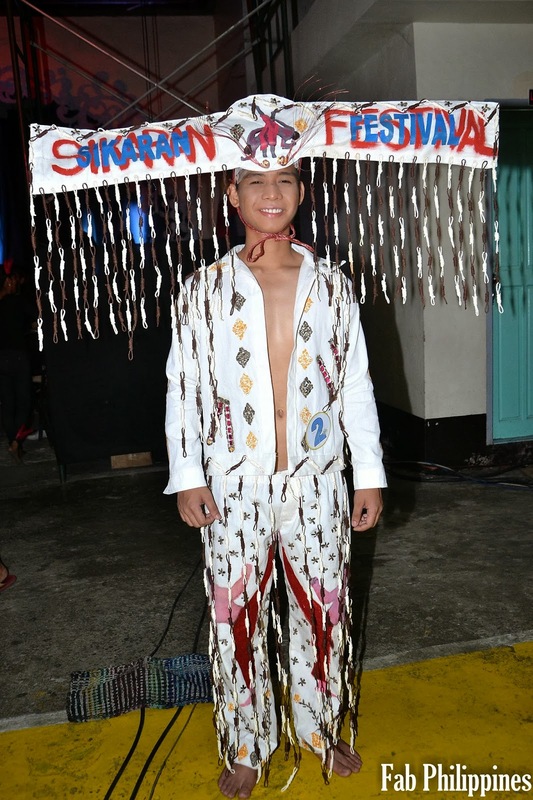 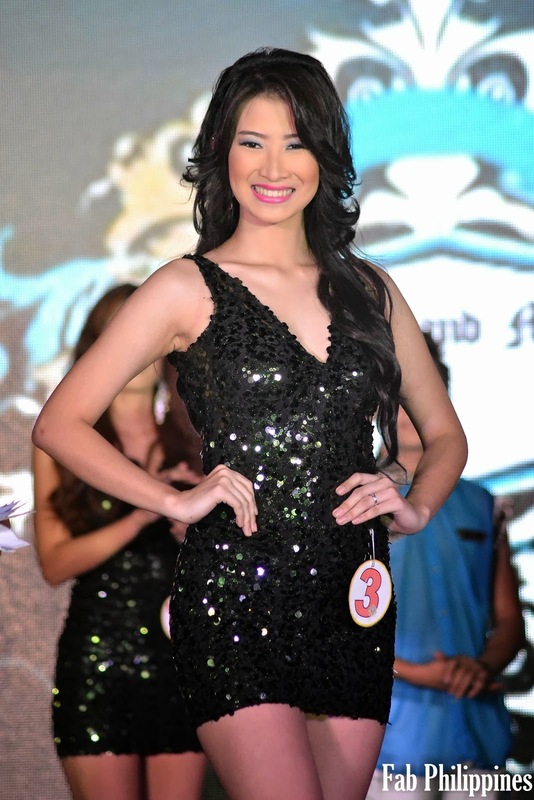 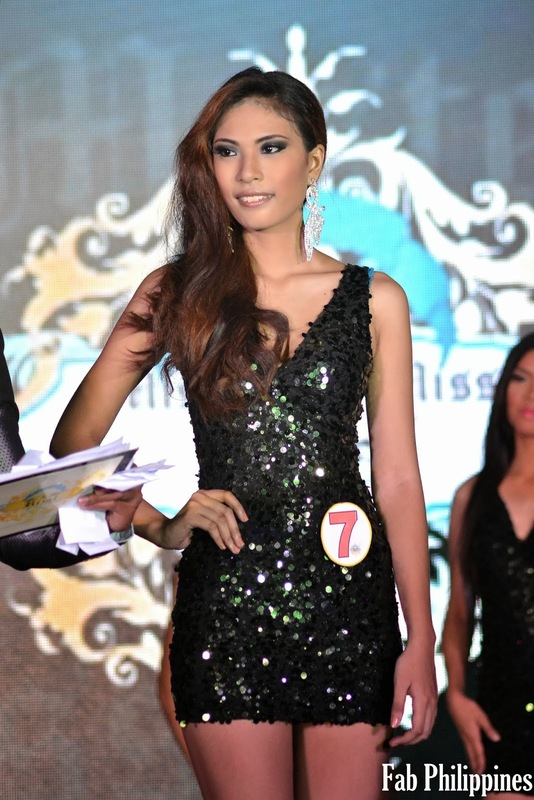 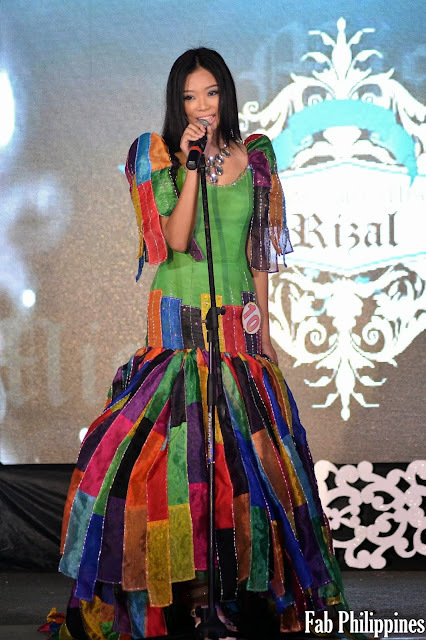 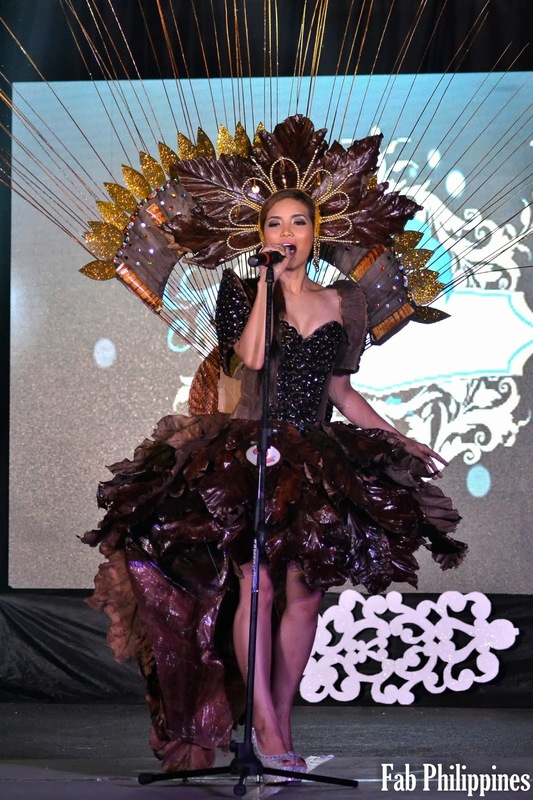 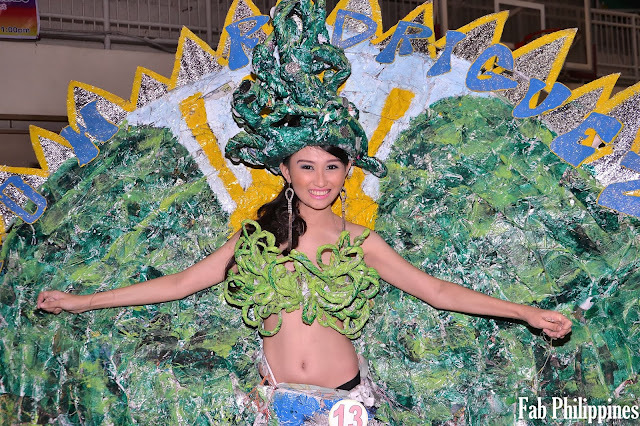 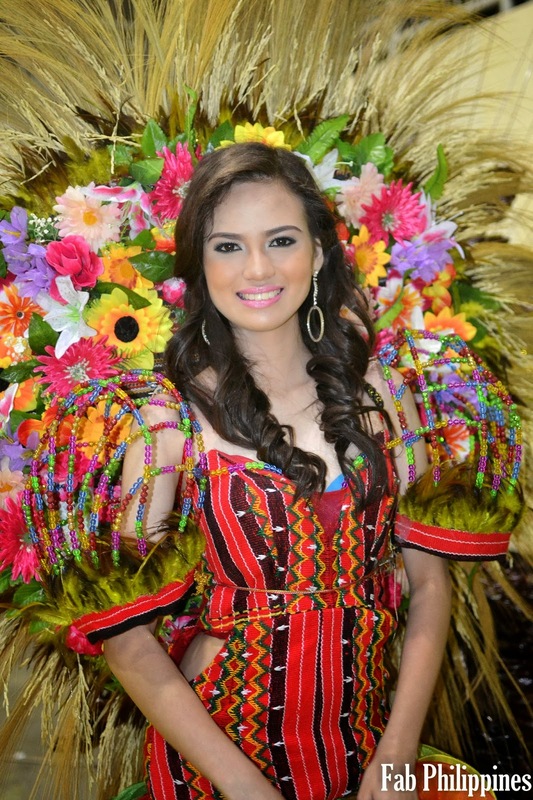 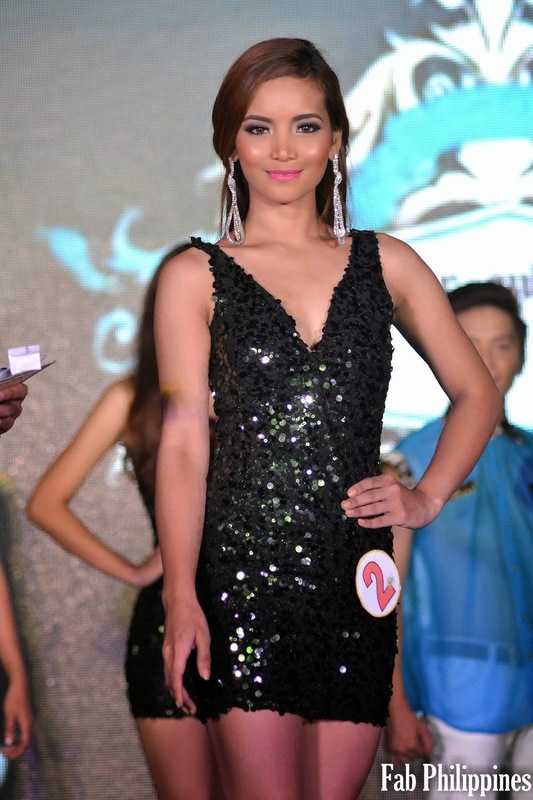 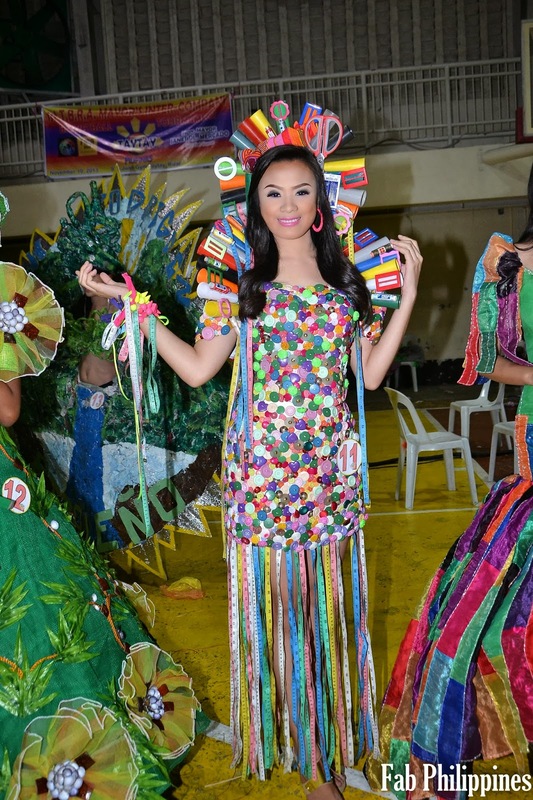 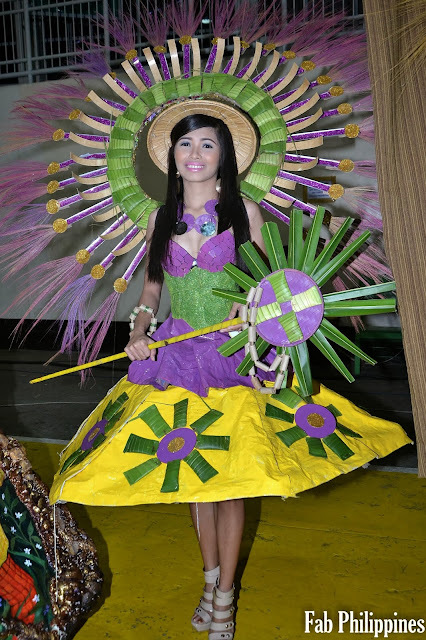 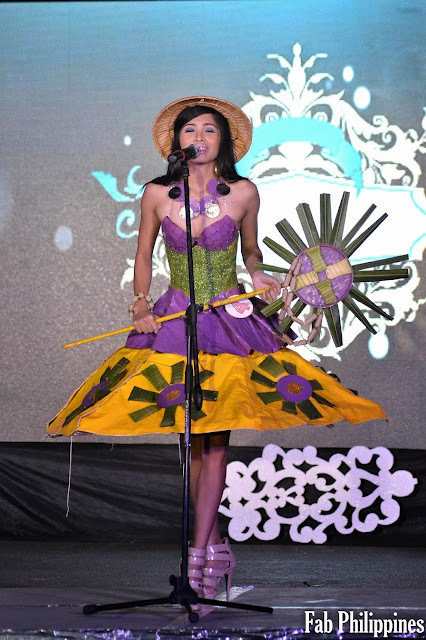 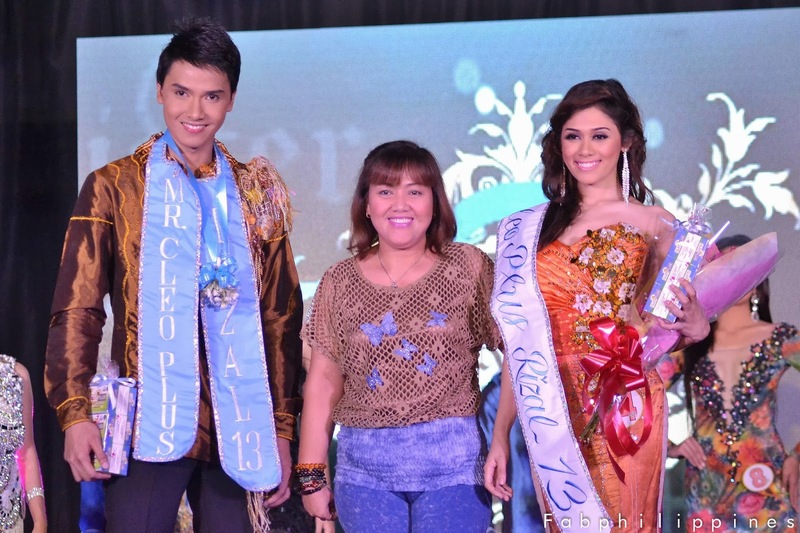 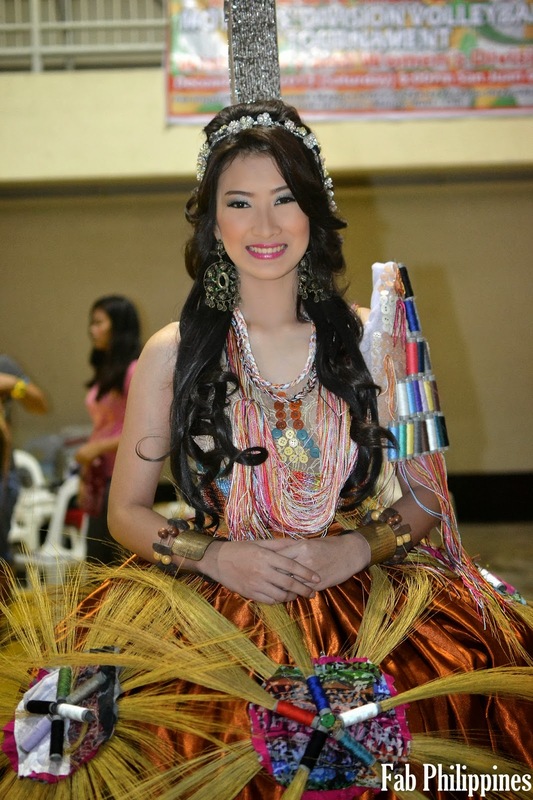 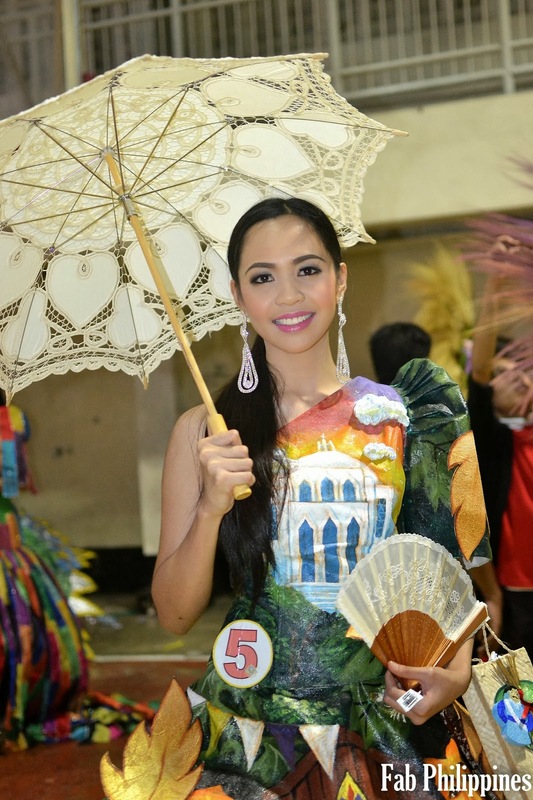 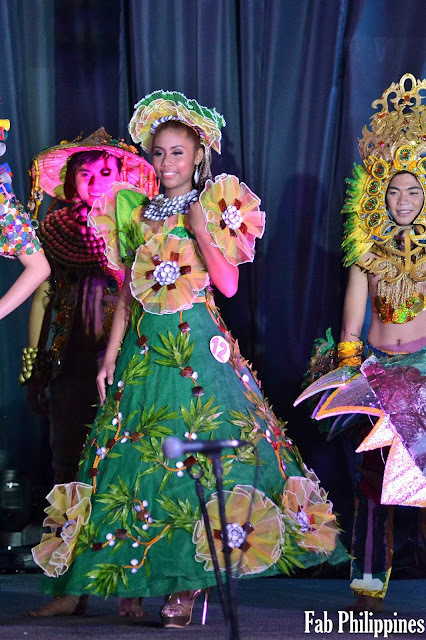 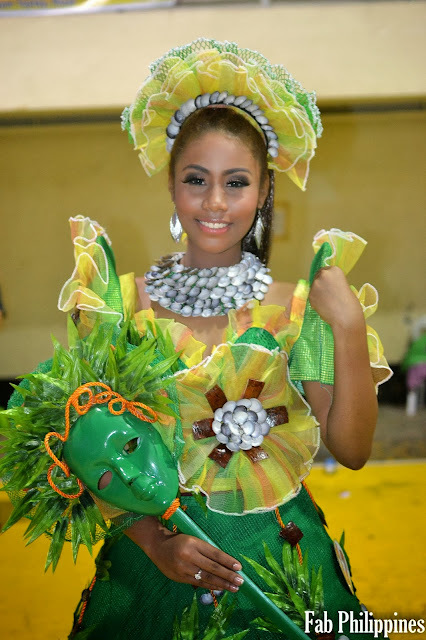 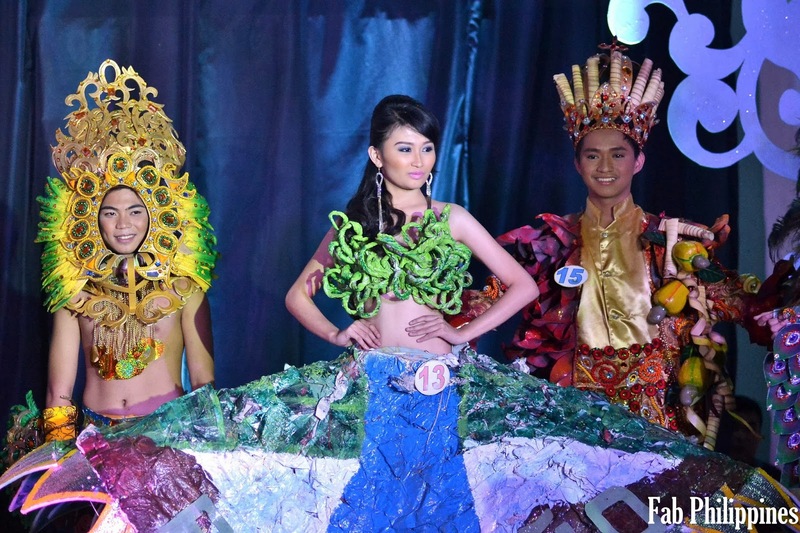 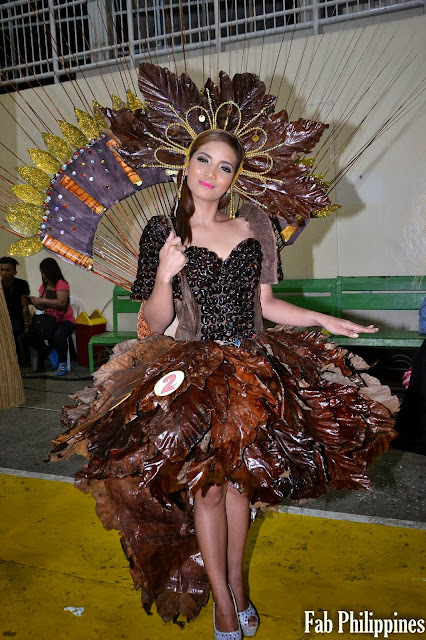 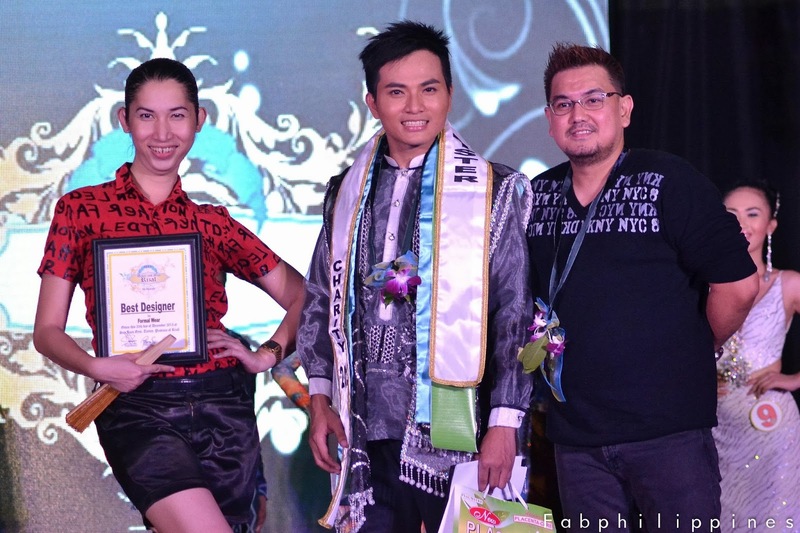 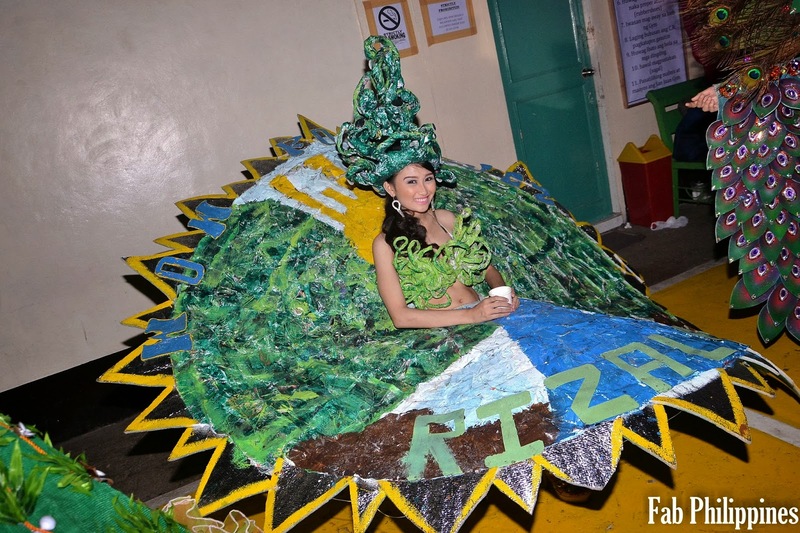 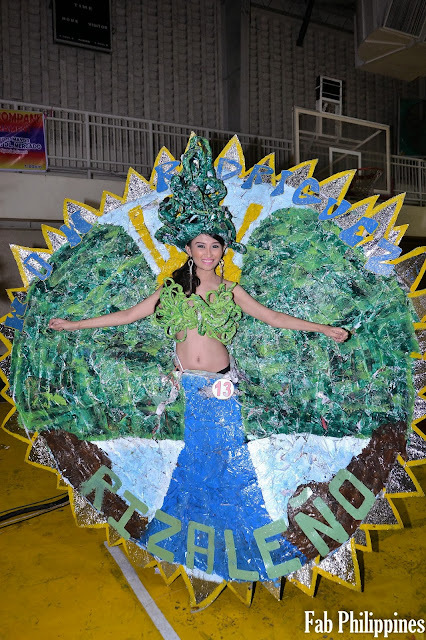 Keep an eye to our blog for more updates of Miss Cavite, Thanks! 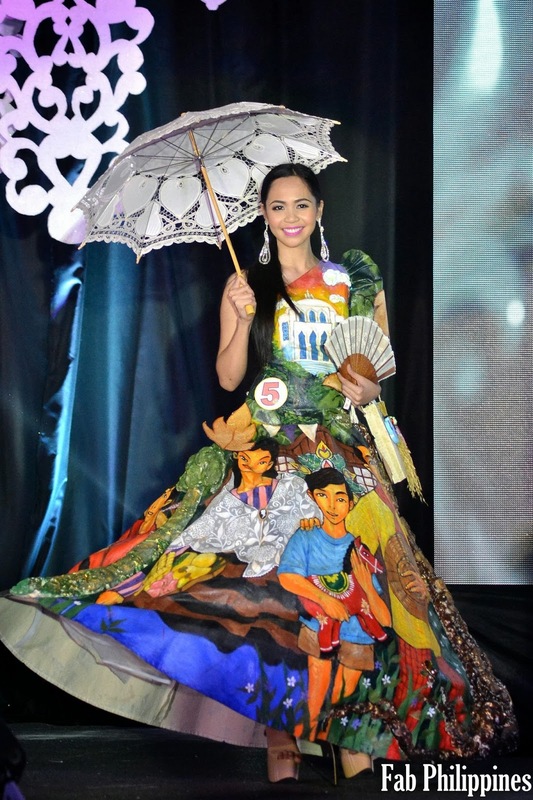 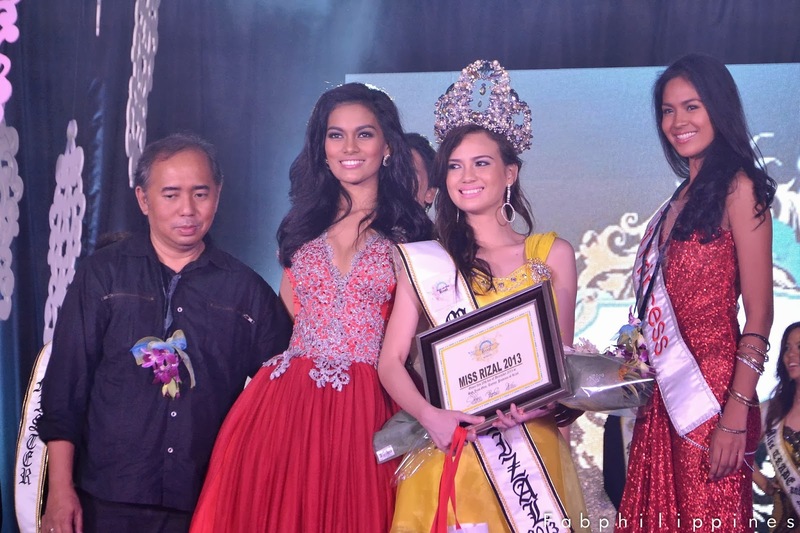 BEA ROSE SANTIAGO IS MISS INTERNATIONAL 2013! 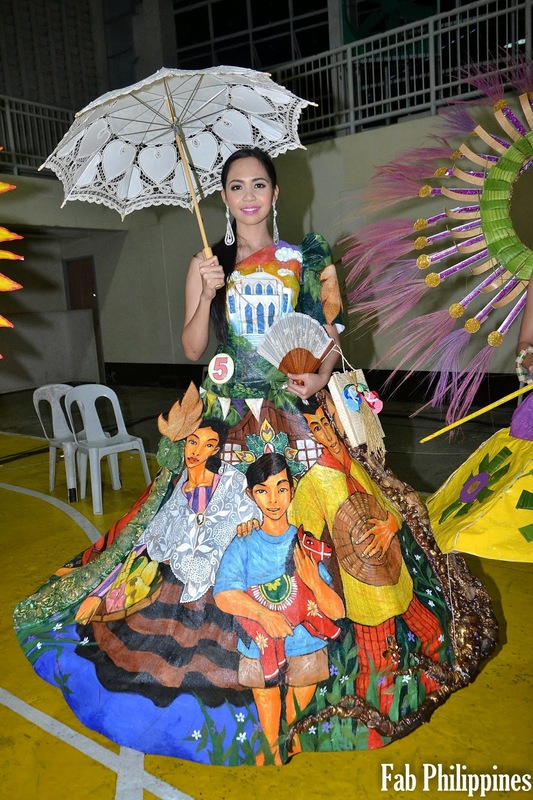 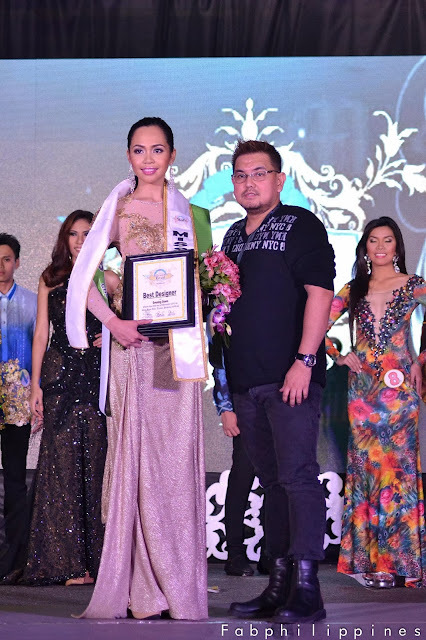 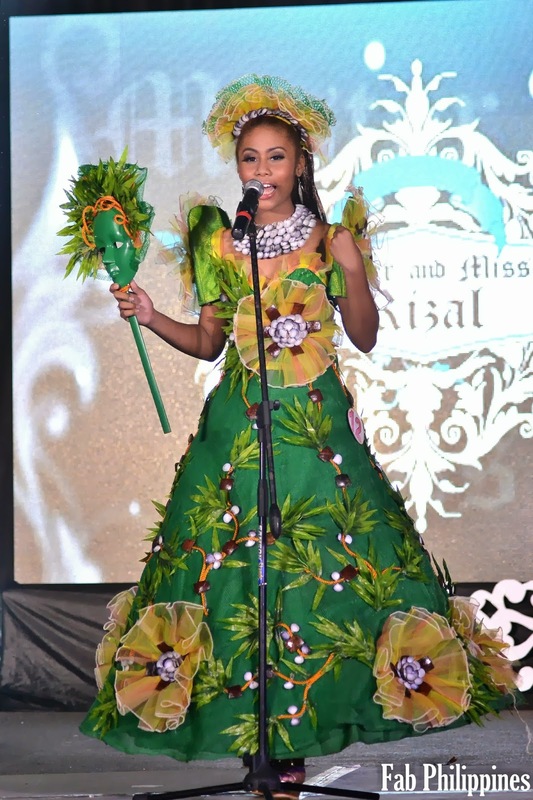 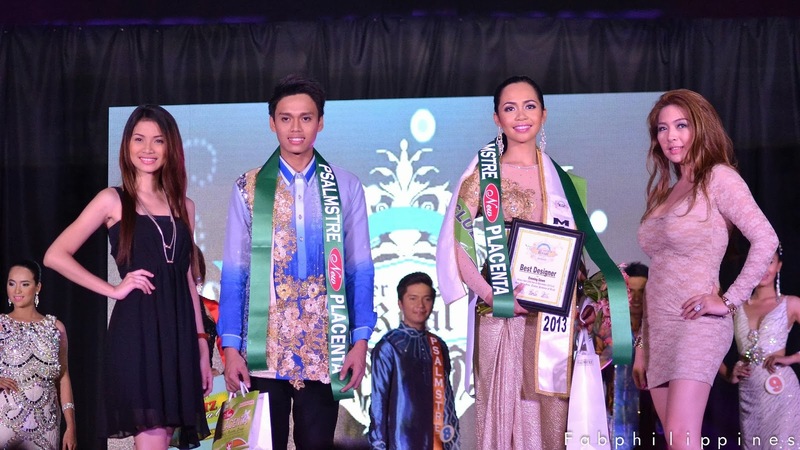 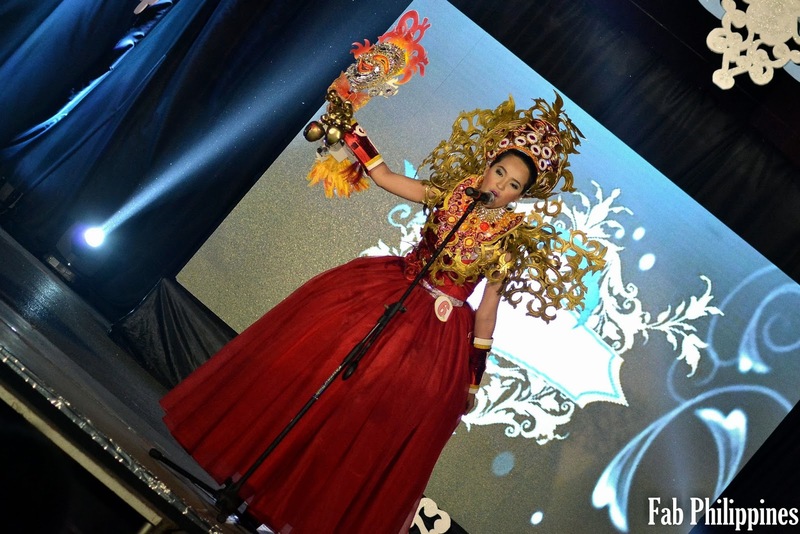 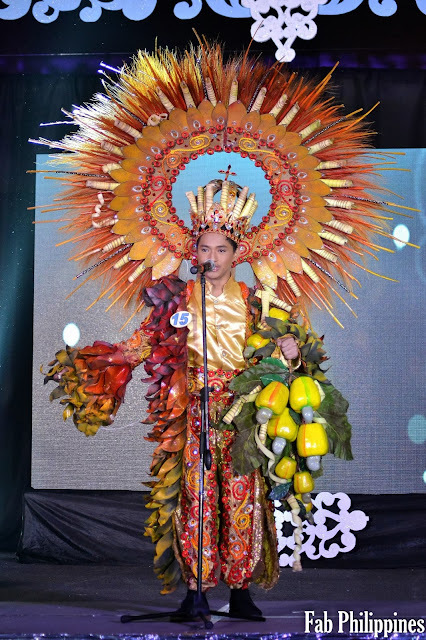 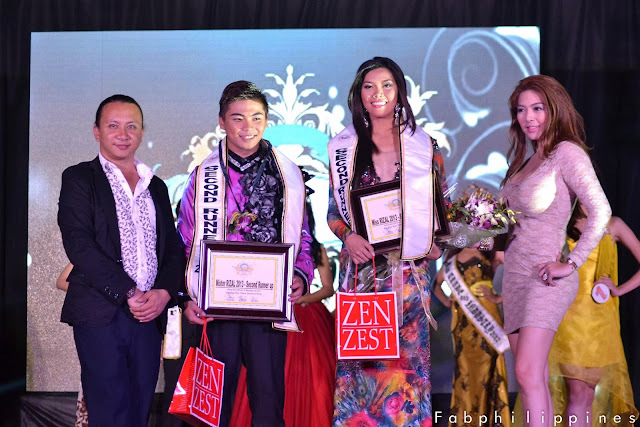 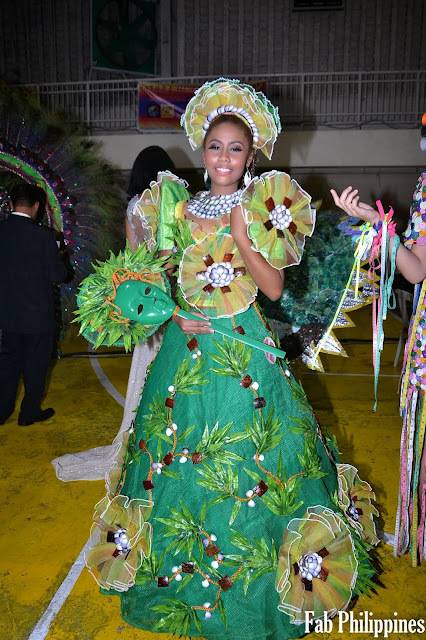 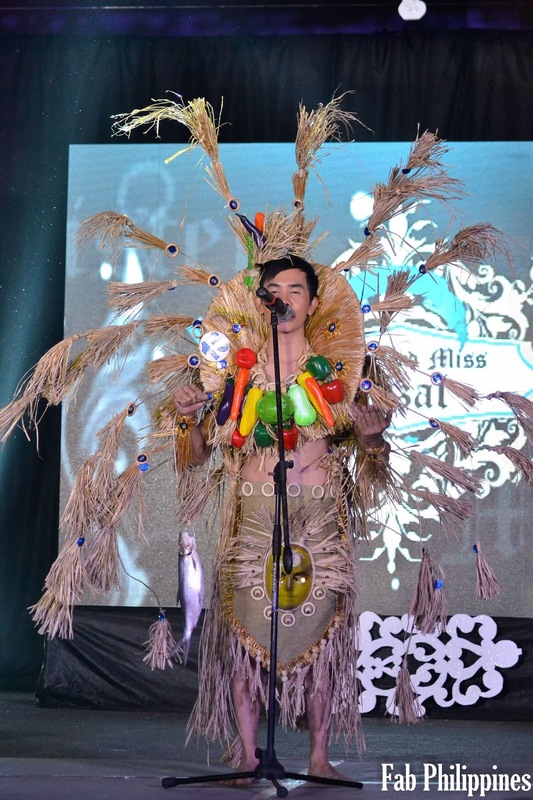 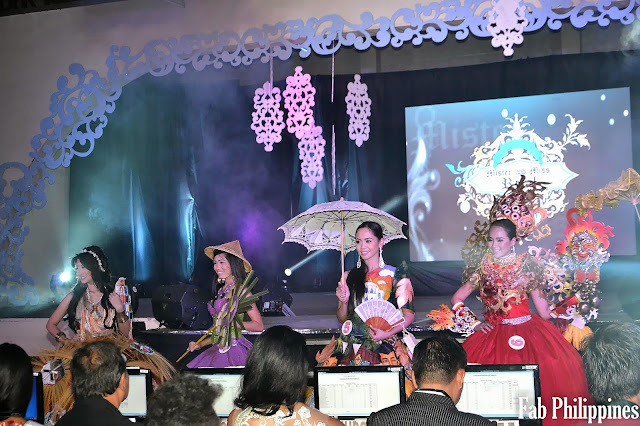 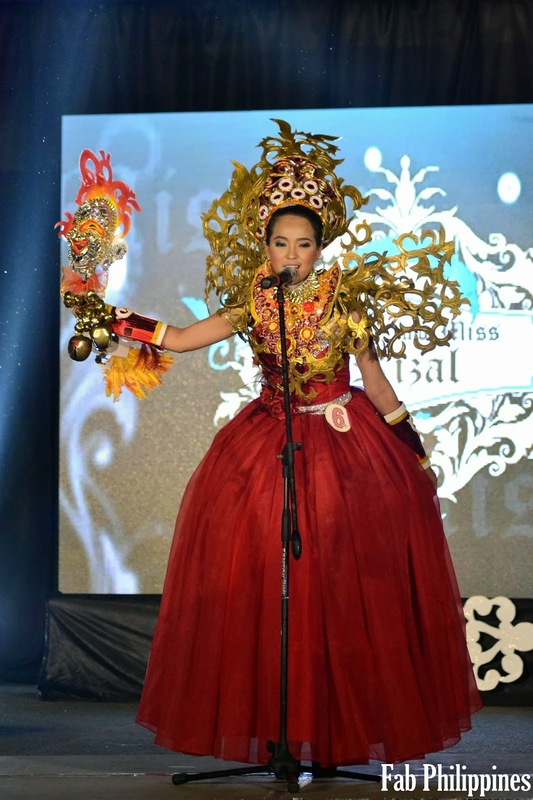 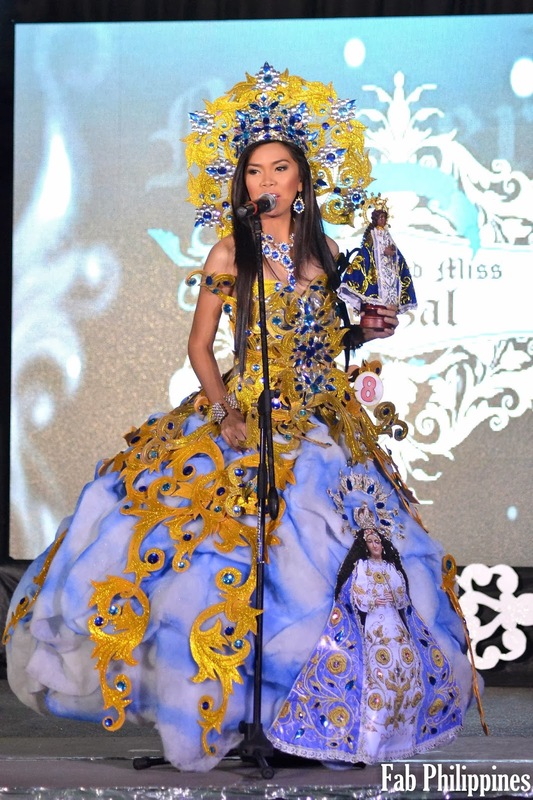 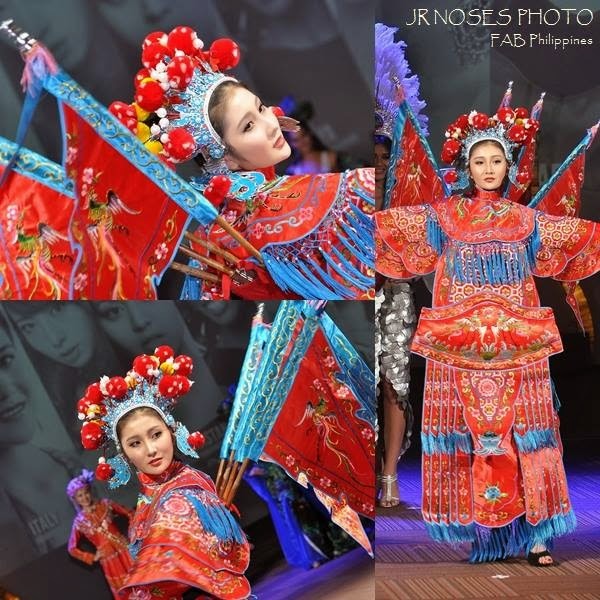 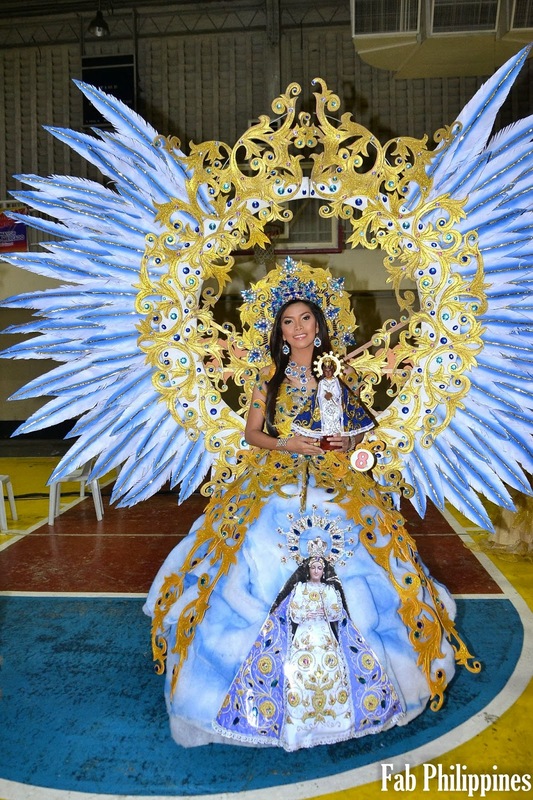 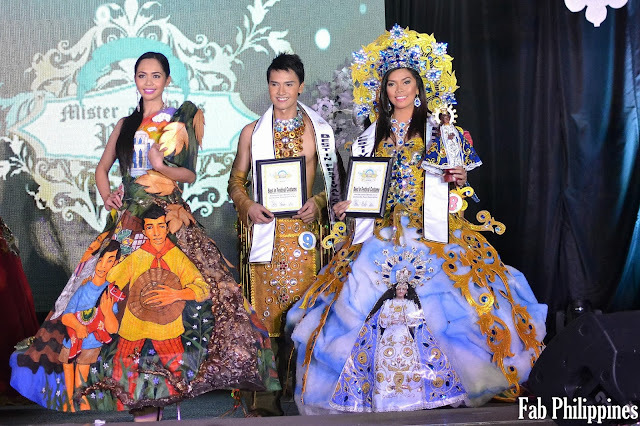 Bea Rose Santiago, the dazzling 5’9” beauty from Cataingan, Masbate bagged the top prize at the 53rd Miss International pageant held December 17 at the Shinagawa Prince Hotel Hall in Tokyo, Japan. 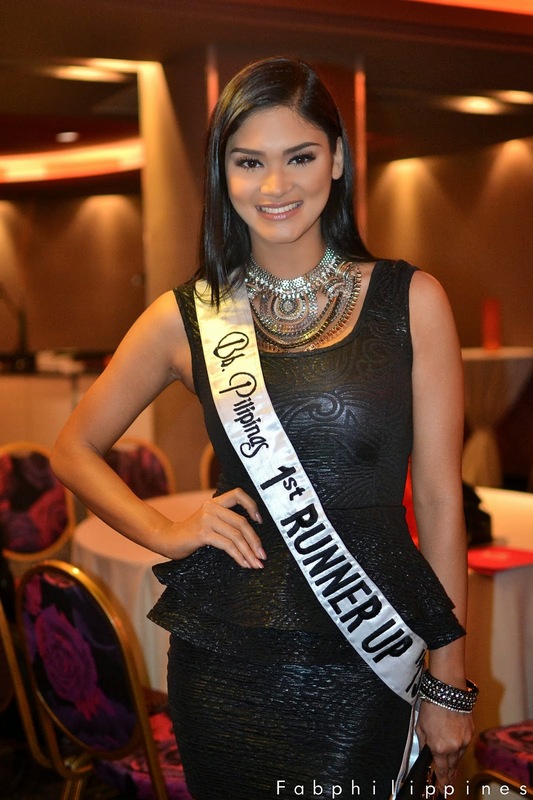 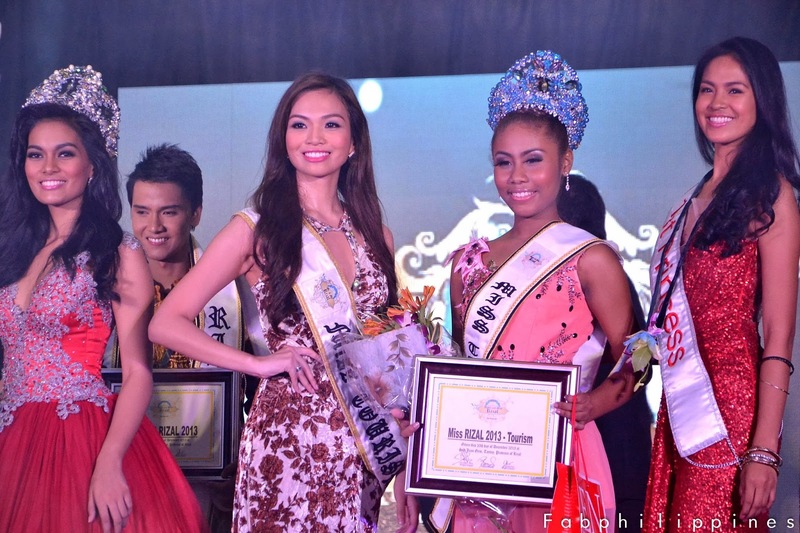 Bea has won the fifth Miss International title for the Philippines. 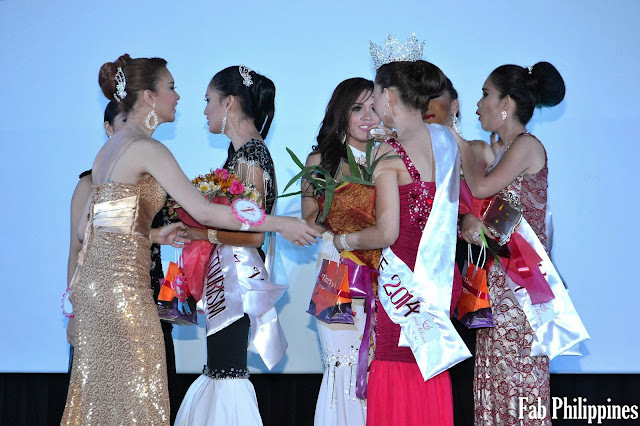 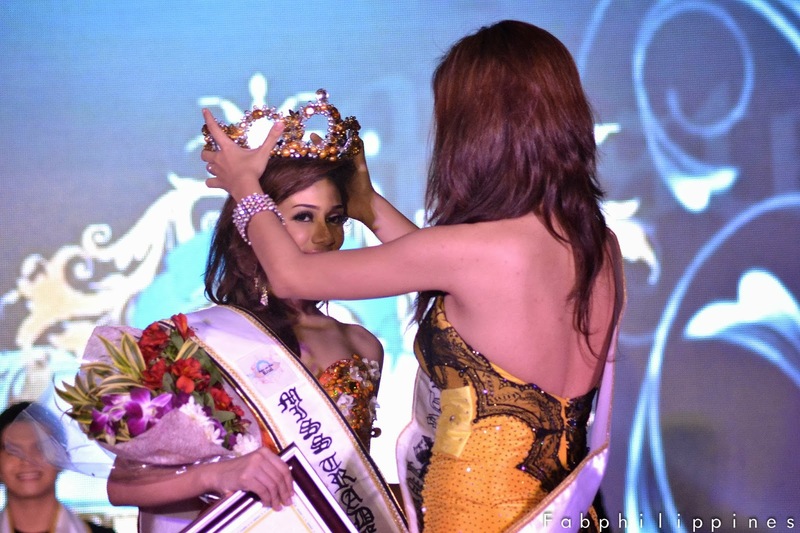 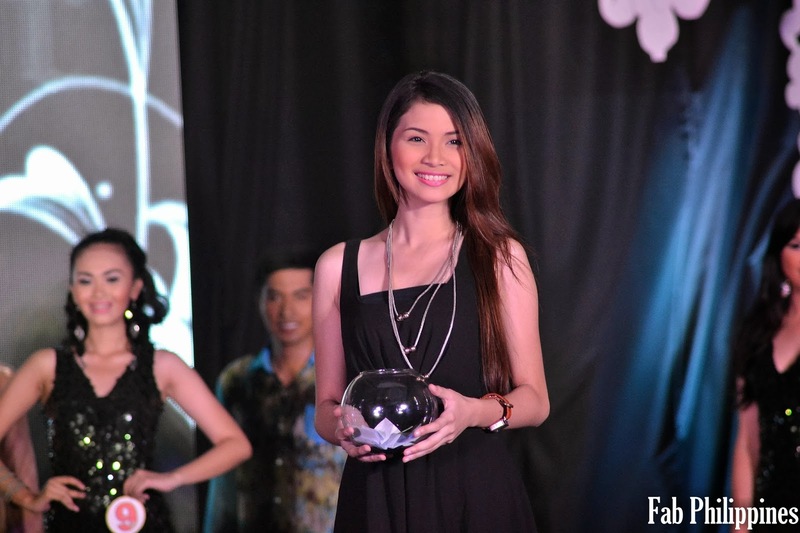 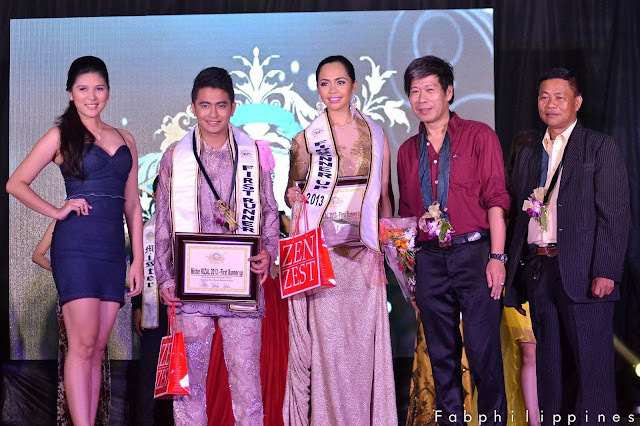 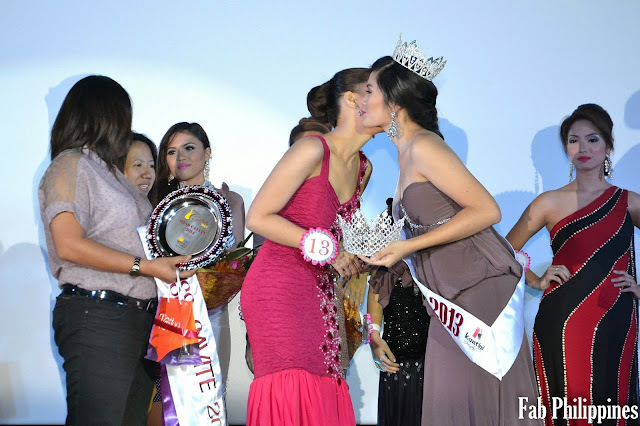 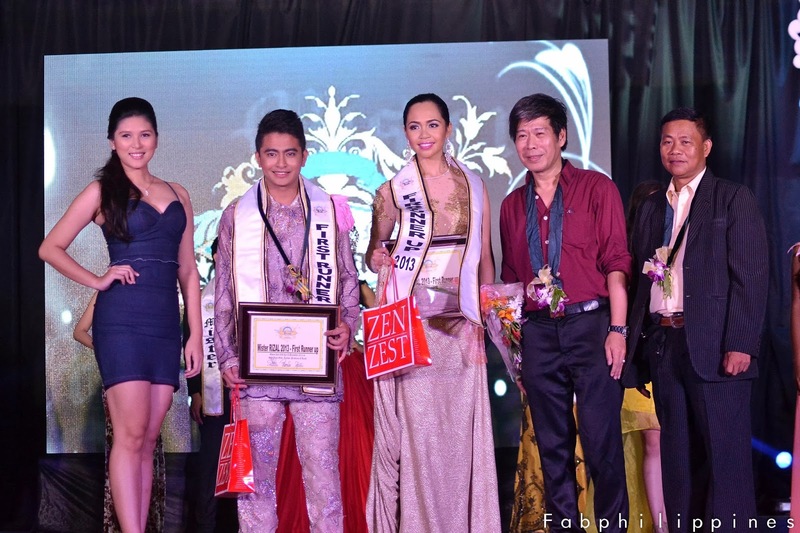 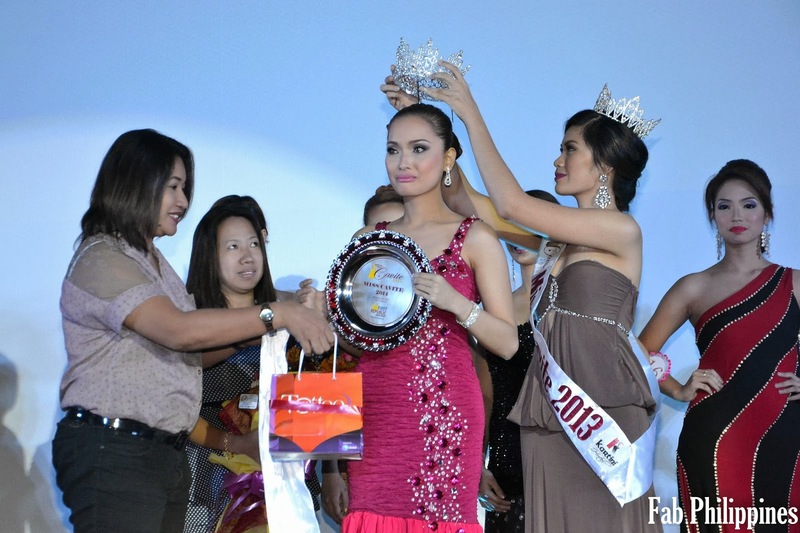 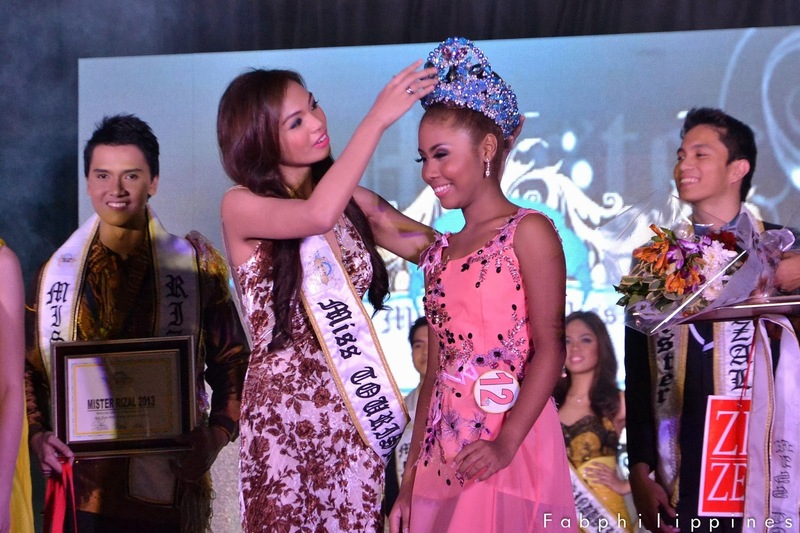 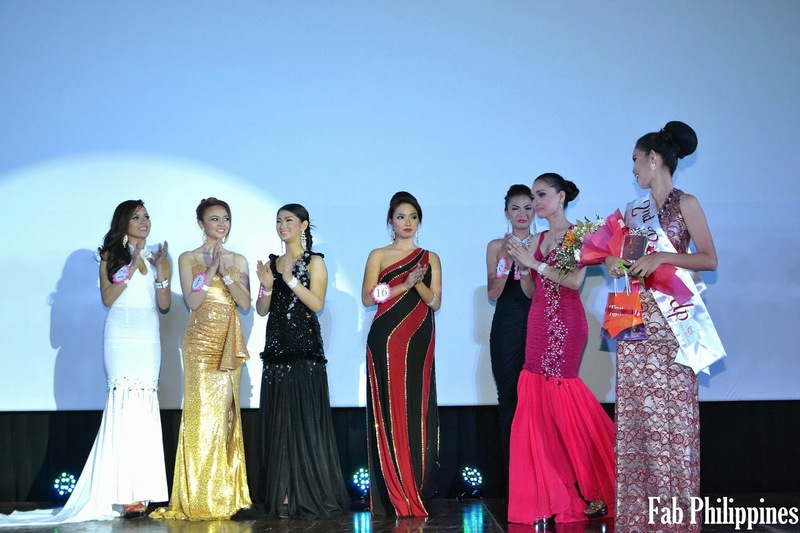 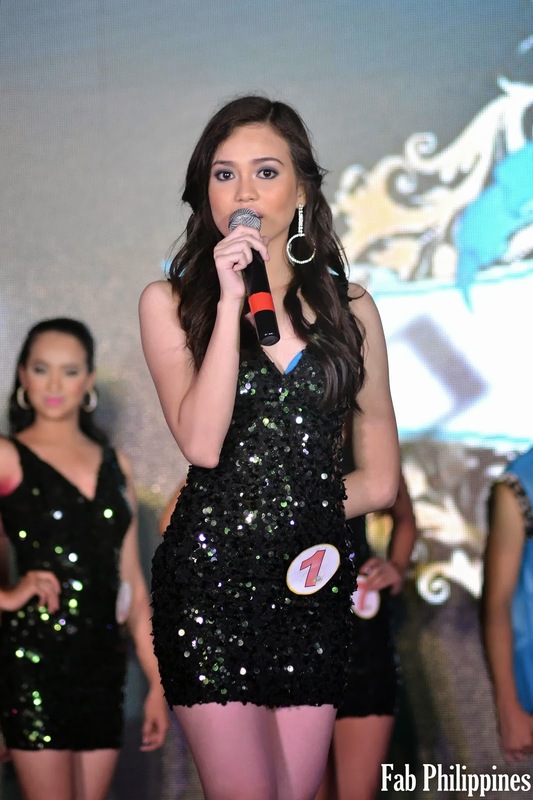 Since leaving for Japan early this month, Bea had been very busy with the different pre-pageant activities. 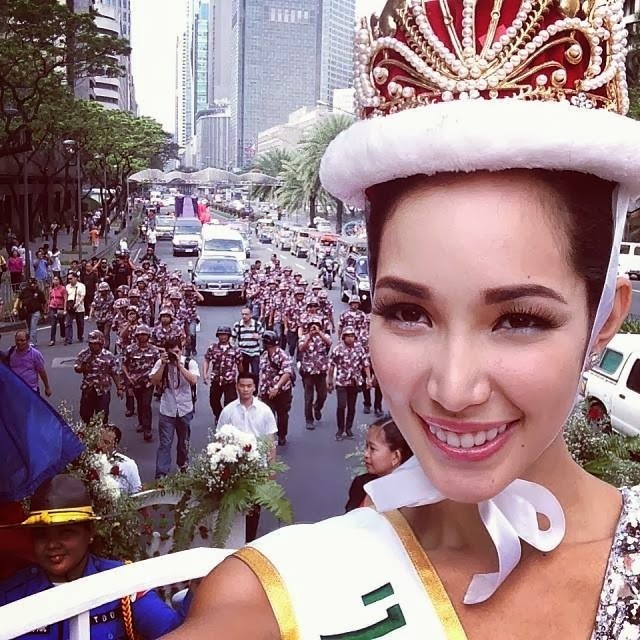 Upon her arrival, Bea and the other candidates toured Hakone, a designated geopark by UNESCO; Asakusa, a district in Tokyo famous for the Sensō-ji Buddhist temple; the Imperial Palace, and the Meiji-Jingu Shrine. 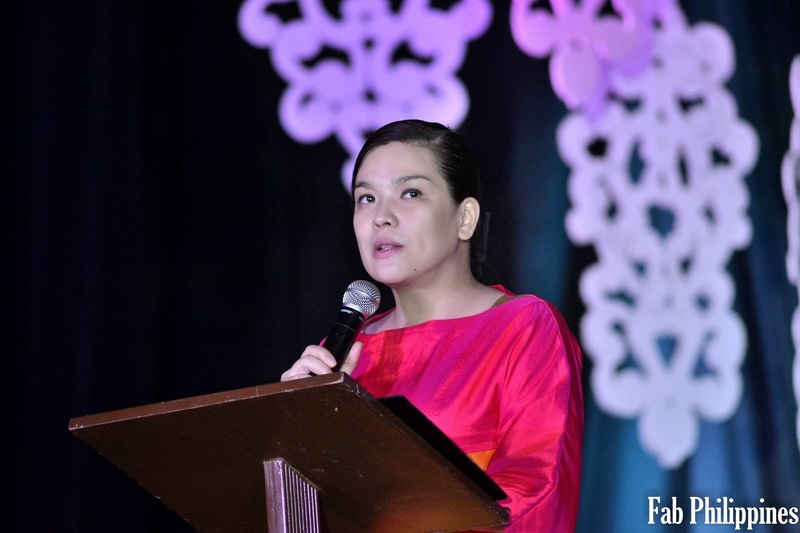 Bea has also experienced the different cultural activities Japan had to offer, such as the ikebana, the Japanese art of flower arrangement; the Sakura traditional dance; and the Japanese tea ceremony. Bea even found the time to meet with President Benigno Aquino III when the latter went to meet with the Filipino community in Japan. In its official statement, the Binibining Pilipinas Charities, Inc. expressed its heartfelt congratulations for Bea’s victory. 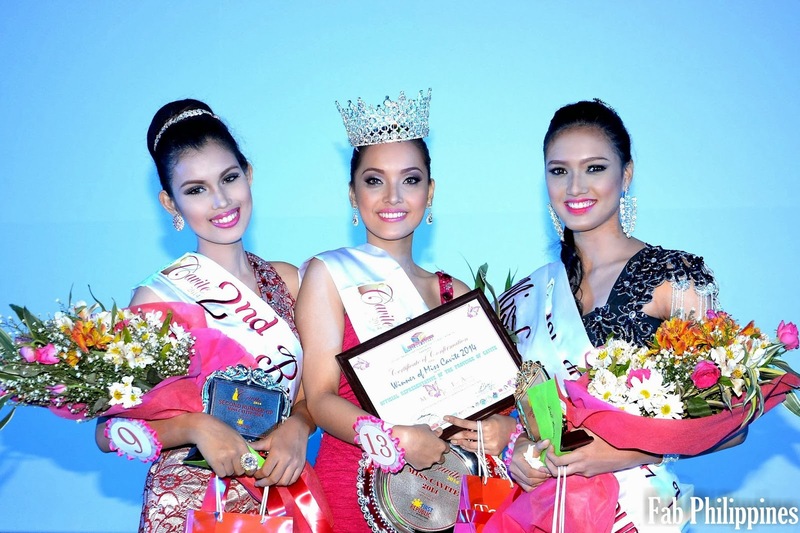 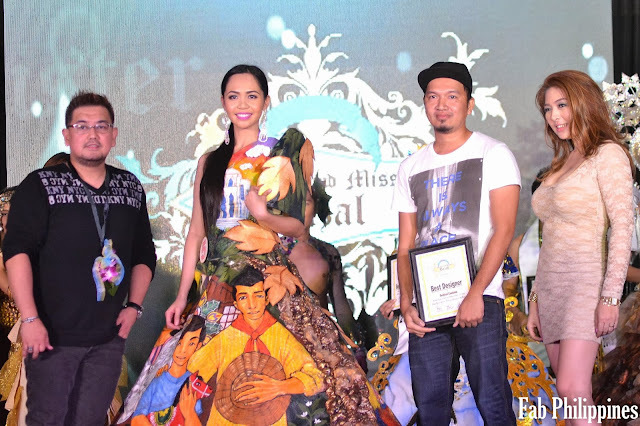 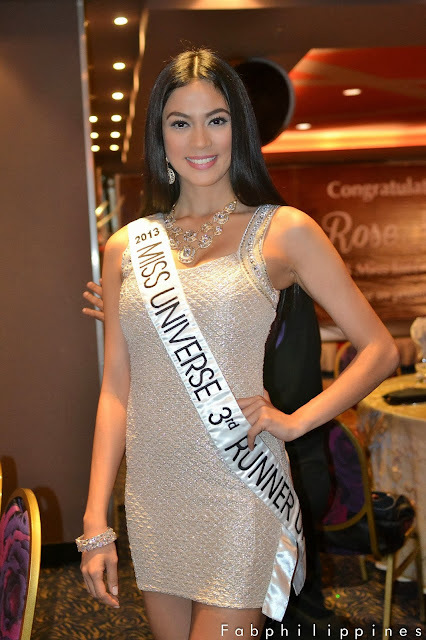 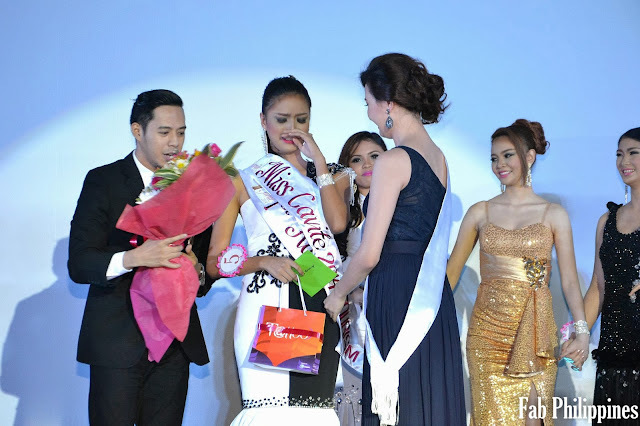 “The Binibining Pilipinas Charities, Inc. is ecstatic over the victory of Miss International 2013 Bea Rose Santiago. Bea showcased the Filipina’s innate beauty, grace, and elegance in a worldwide audience and brought immense honor to the country. This is the fifth Miss International crown for the Philippines, and this caps off an impressive year for Binibining Pilipinas Gold. 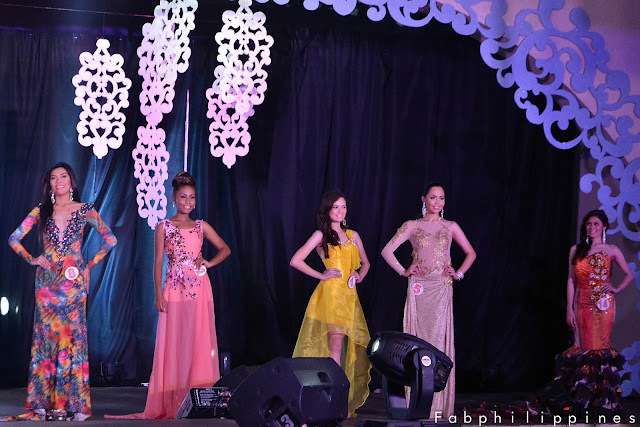 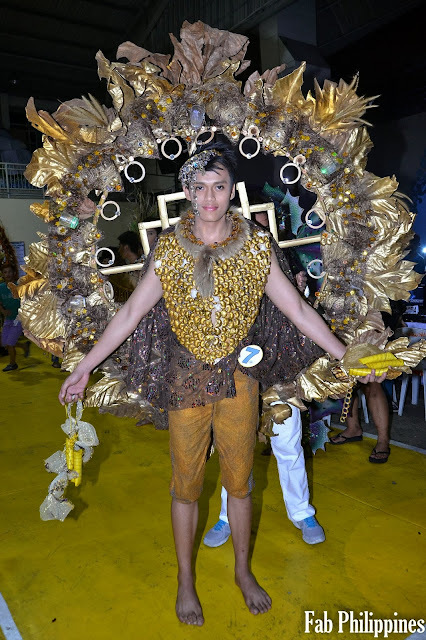 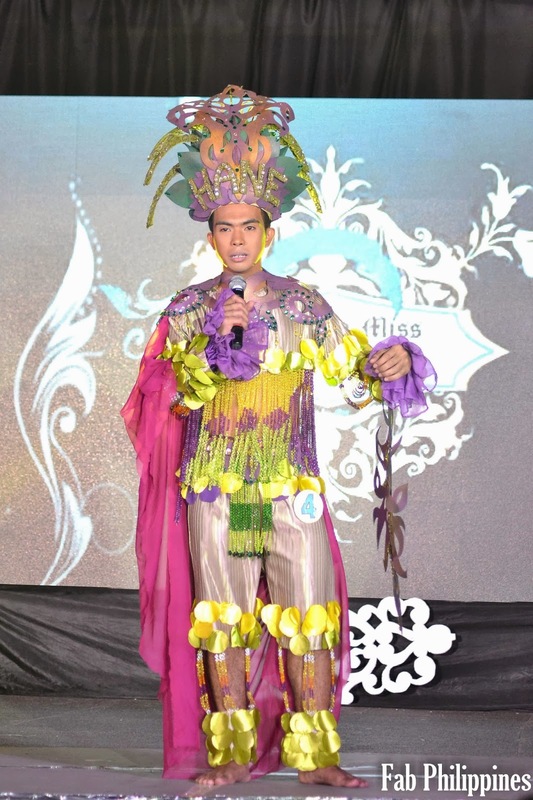 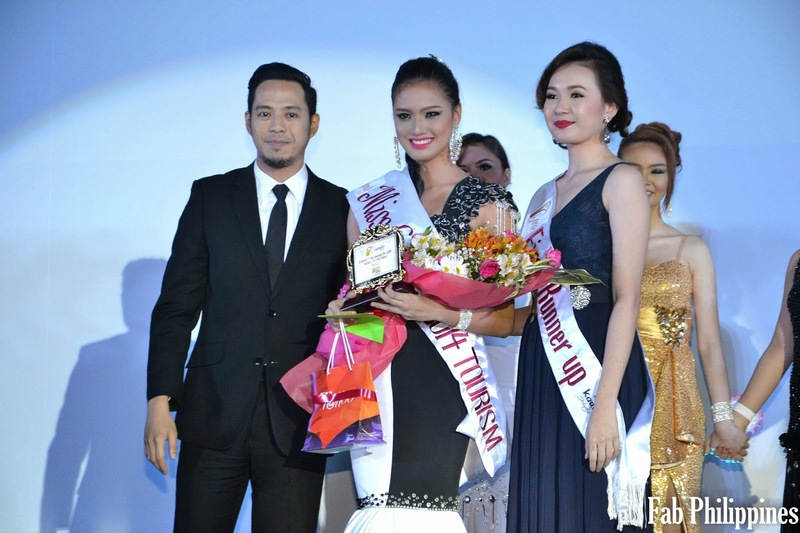 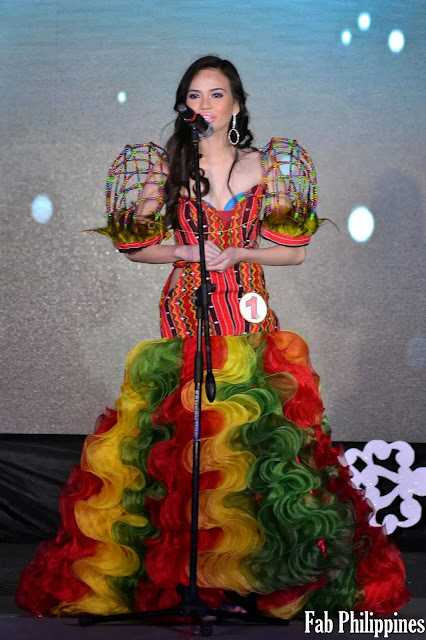 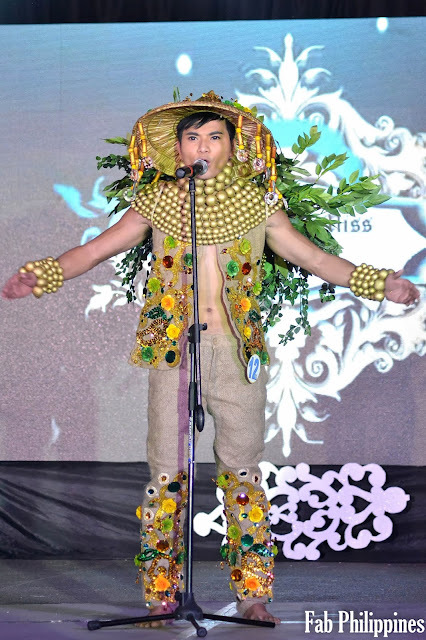 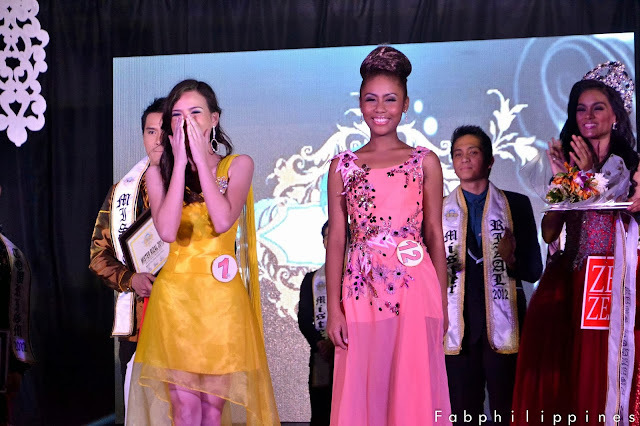 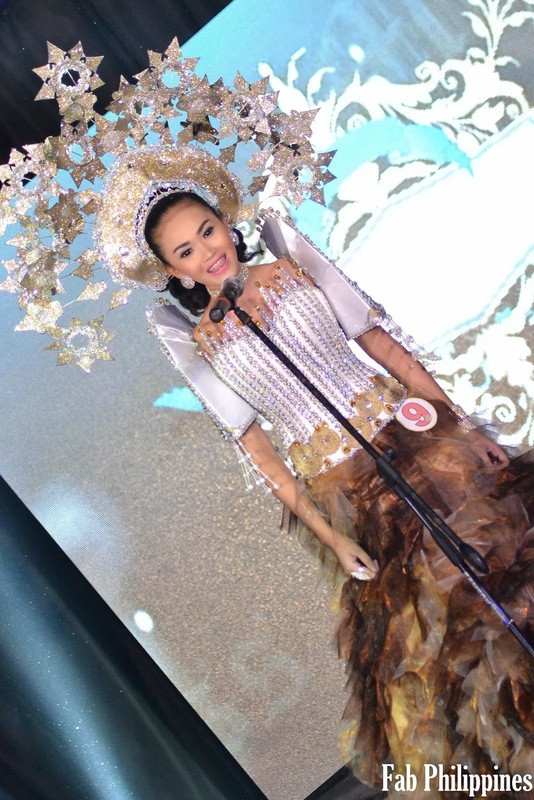 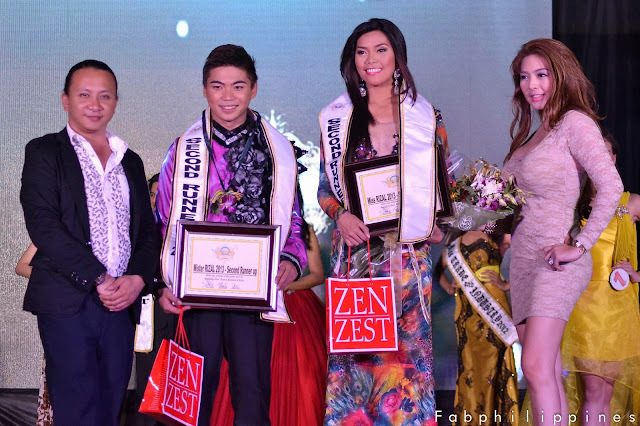 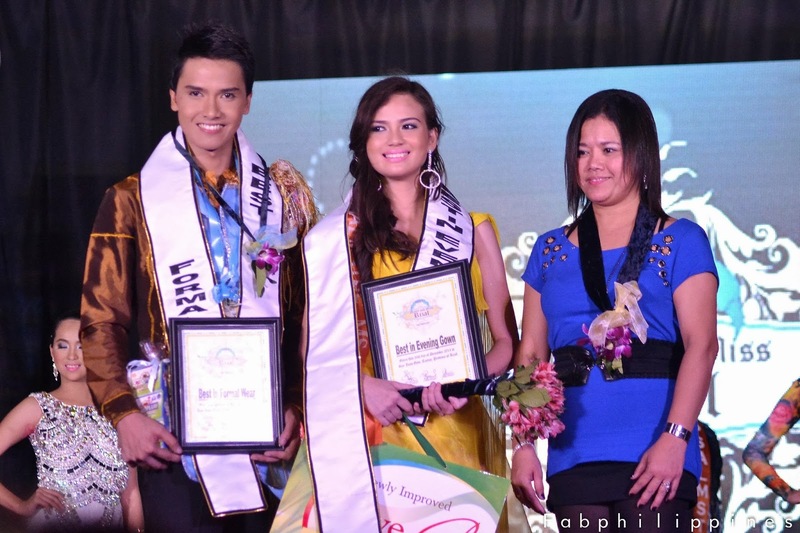 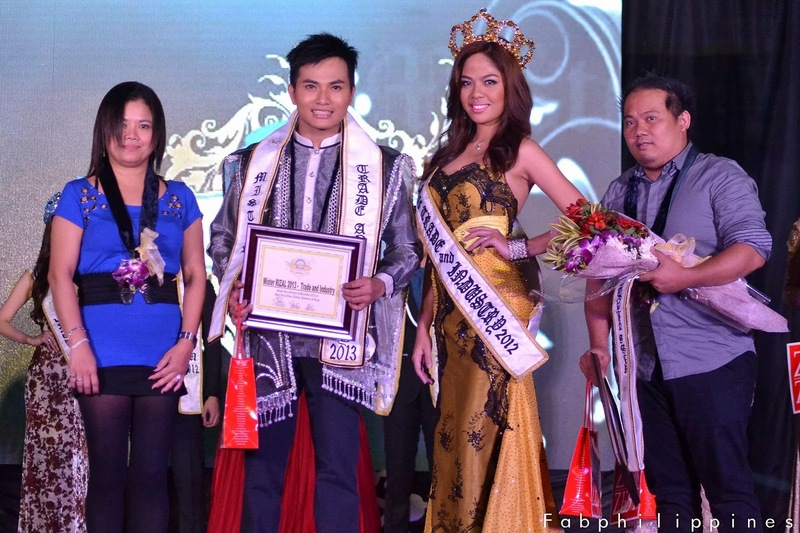 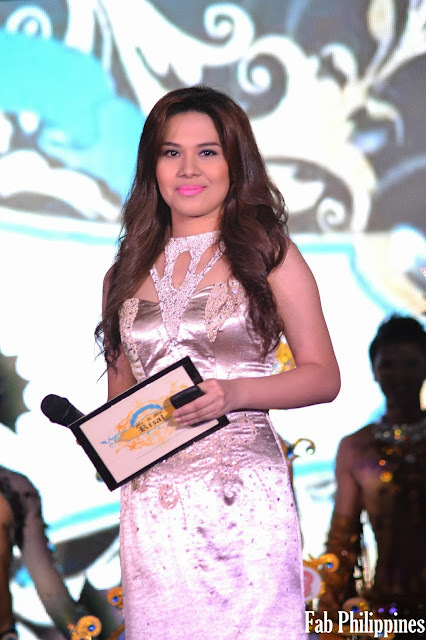 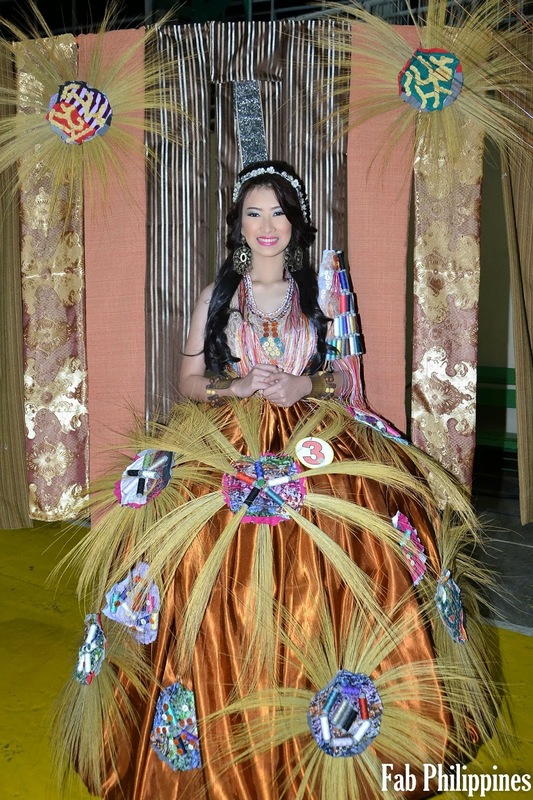 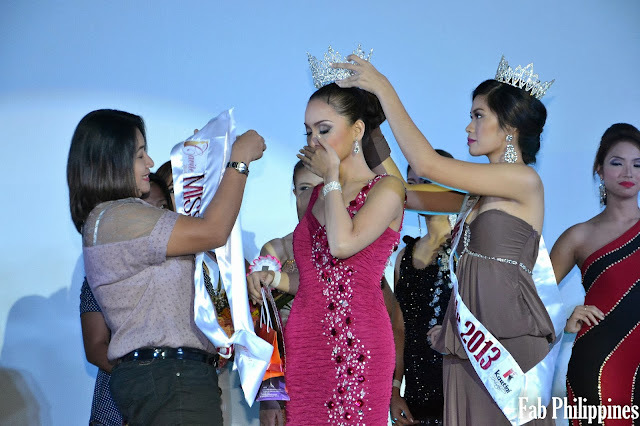 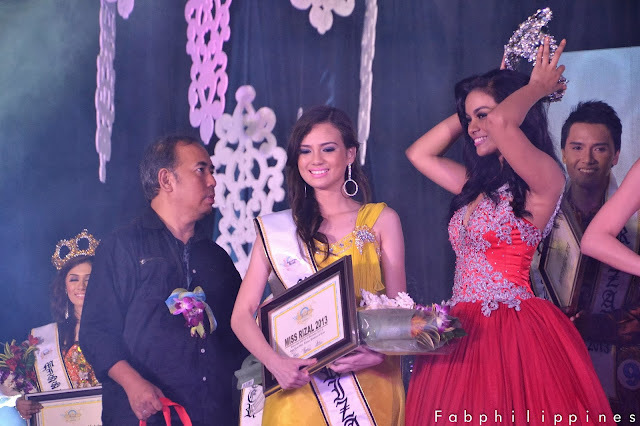 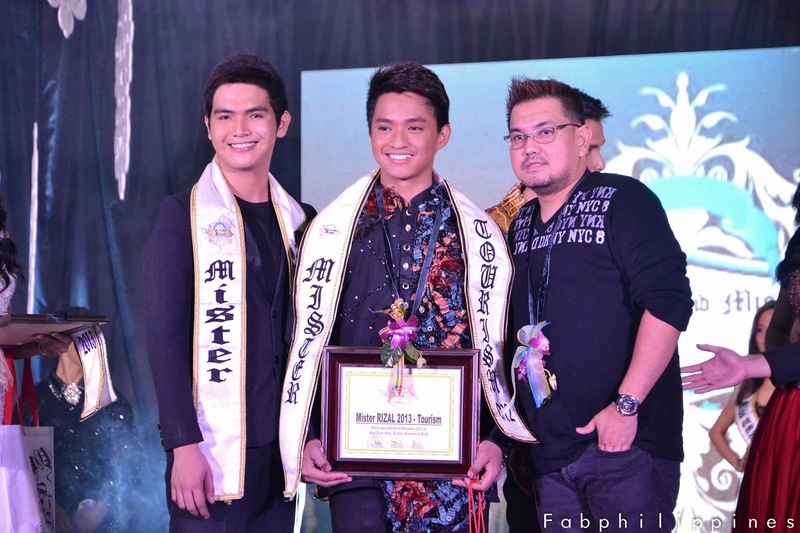 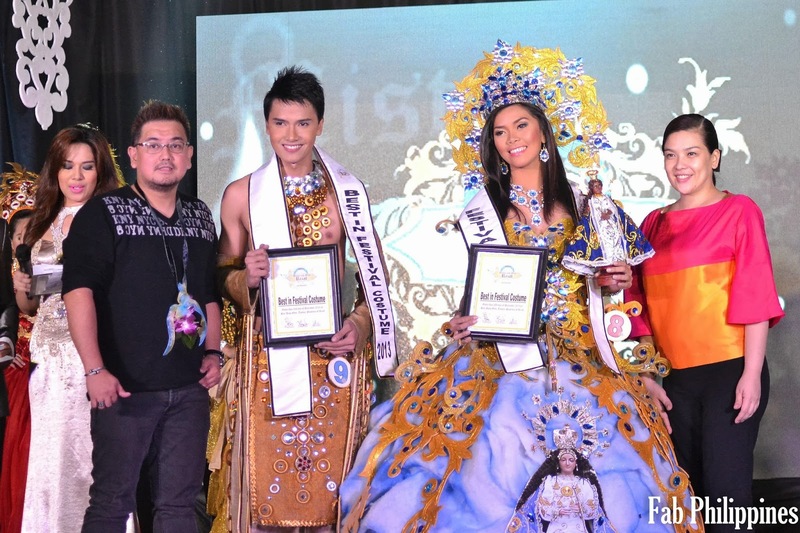 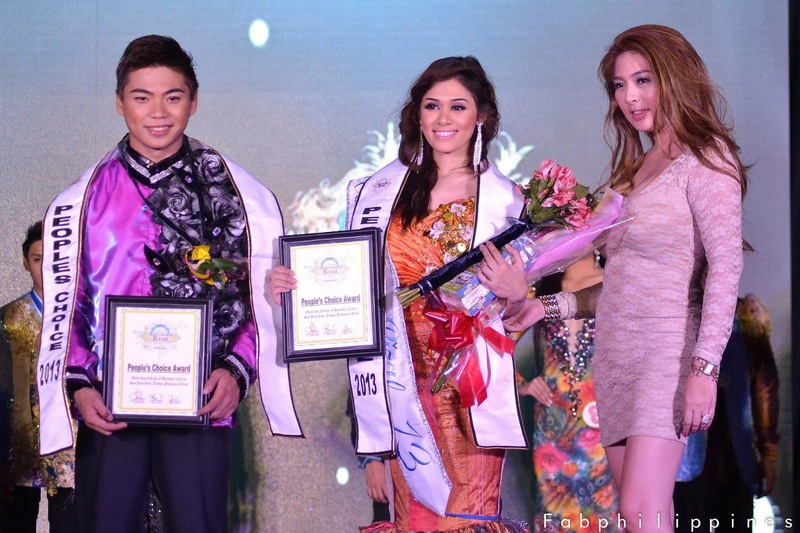 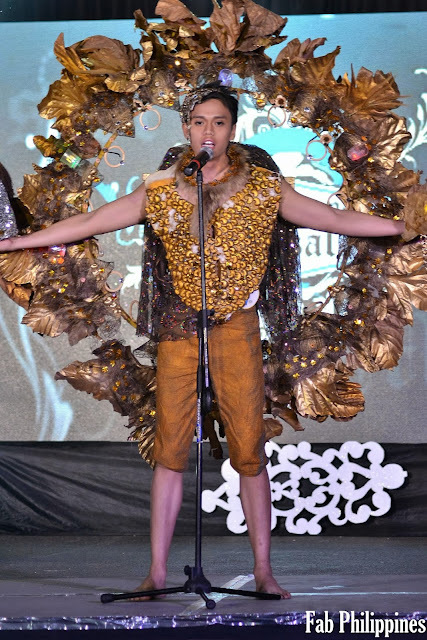 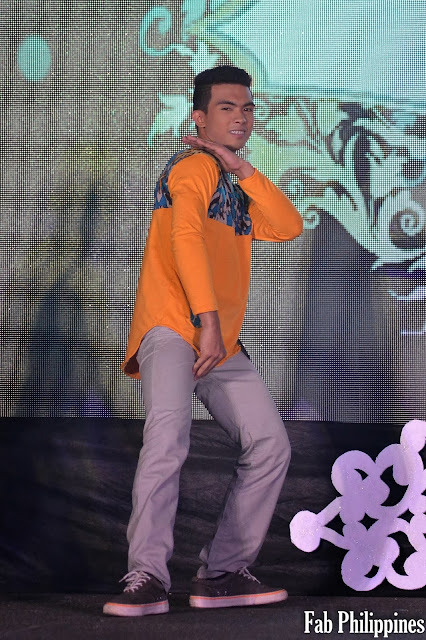 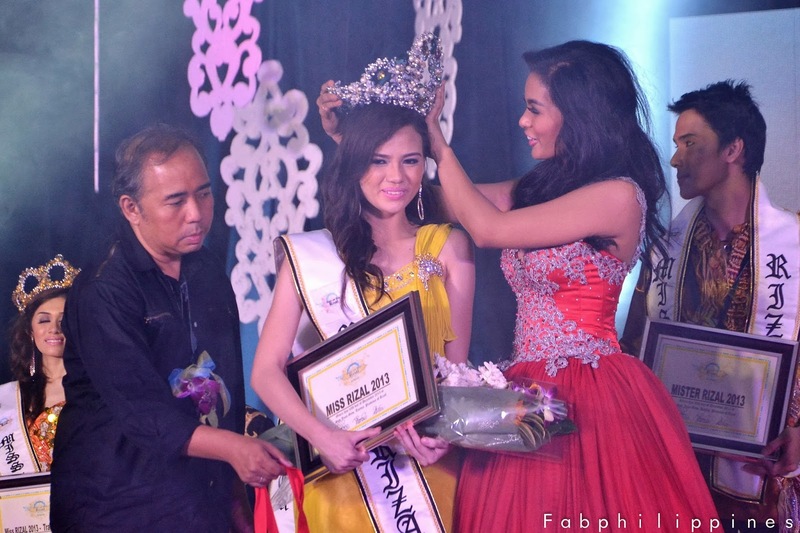 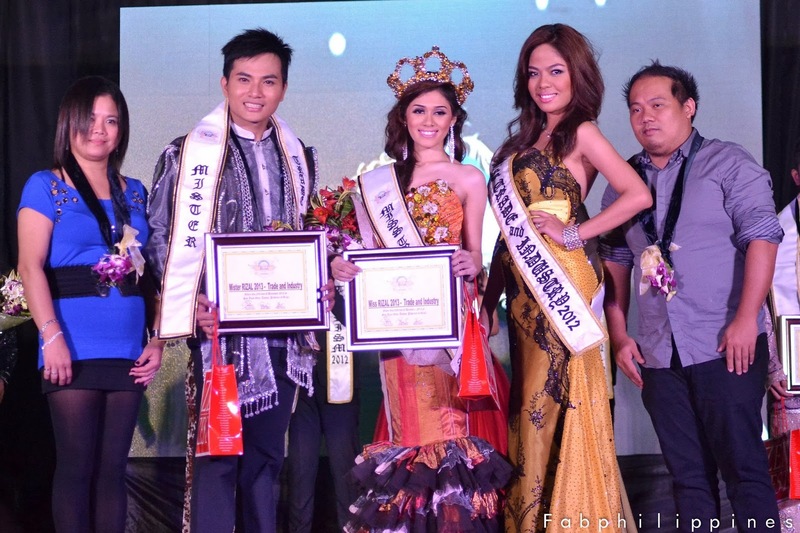 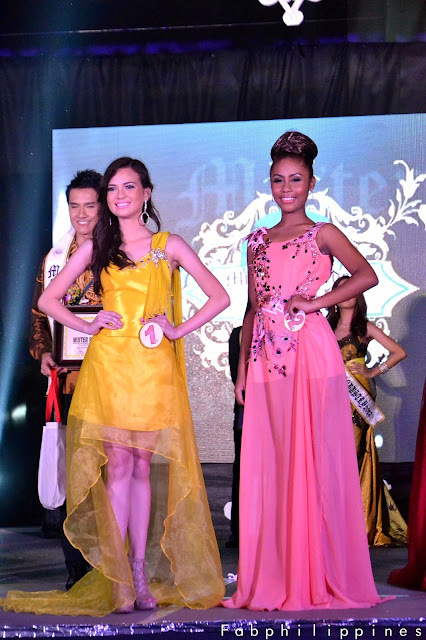 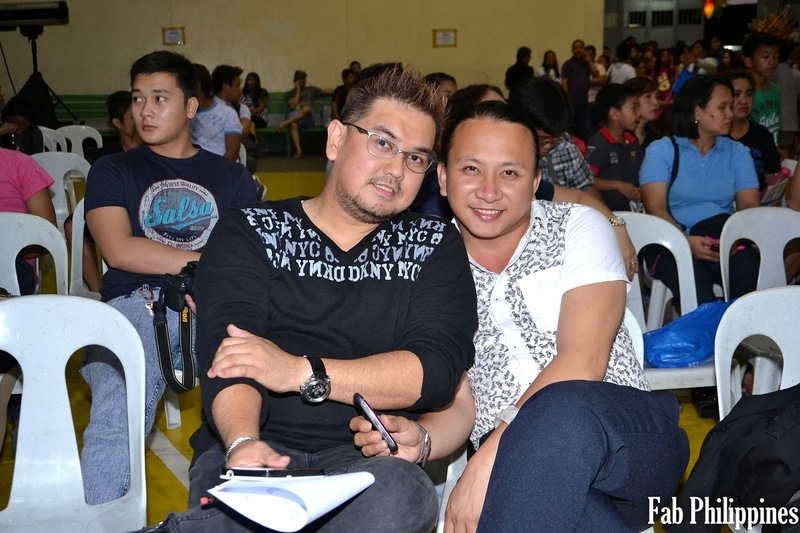 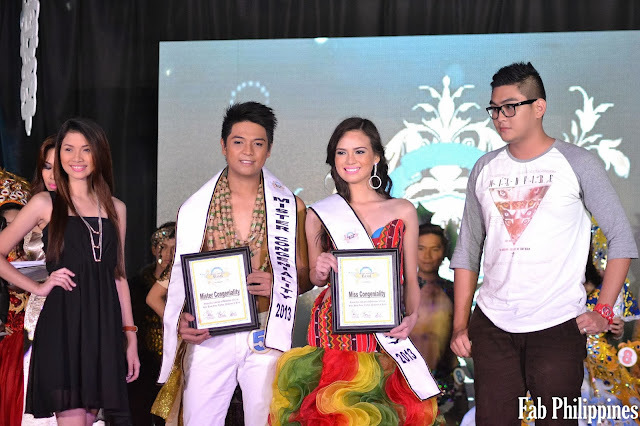 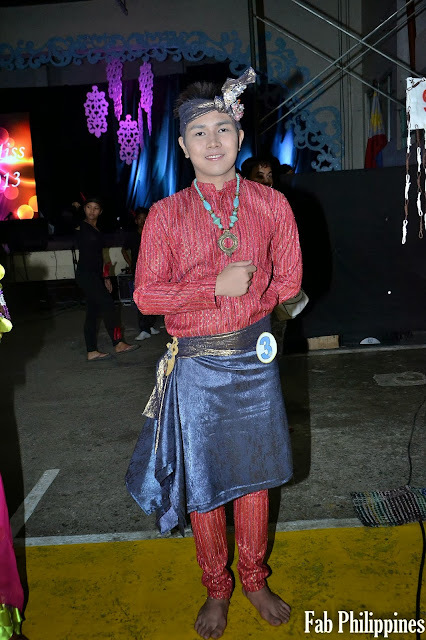 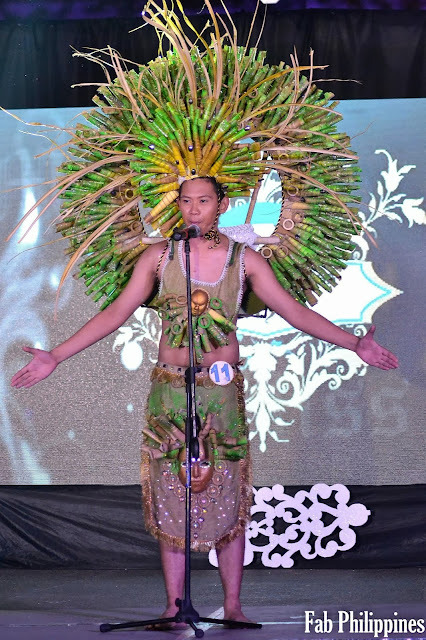 ‘Thank you, President Benigno Aquino III, for wishing Bea luck in the pageant. We think this served as Bea’s lucky charm. 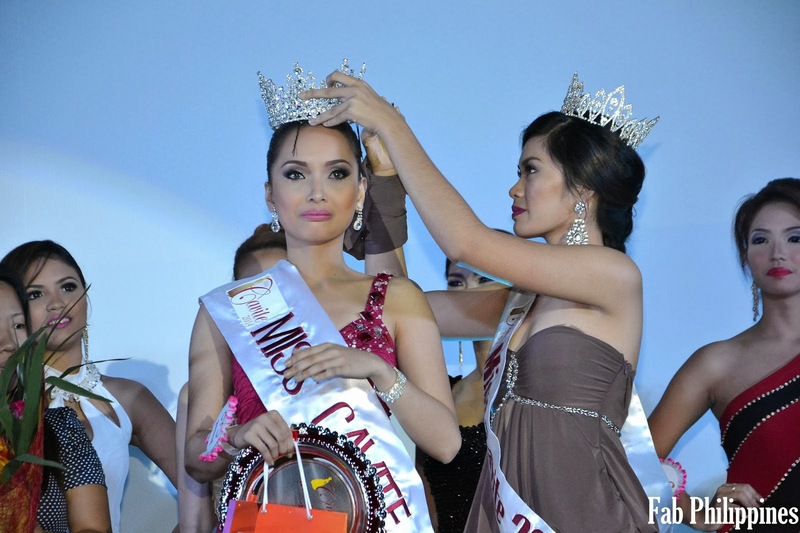 Congratulations, Bea. Thank you for giving the Philippines a wonderful Christmas gift,’ says Madame Stella Marquez Araneta, Chairperson of the Binibining Pilipinas Charities, Inc. 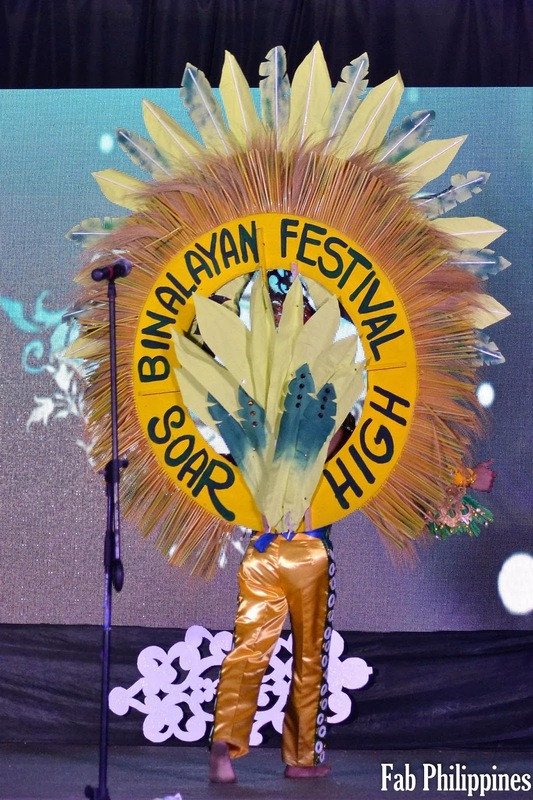 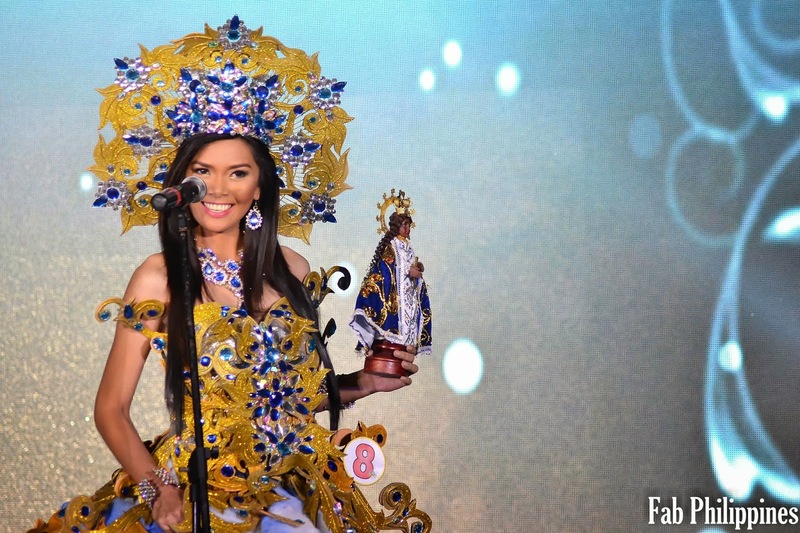 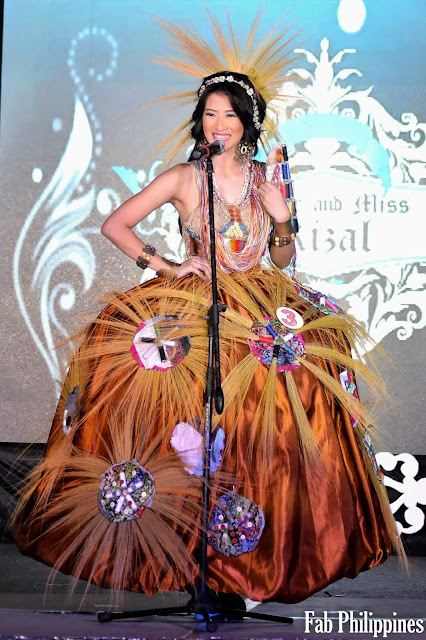 It is indeed a golden year for Binibining Pilipinas, and a milestone year for Filipina beauty. 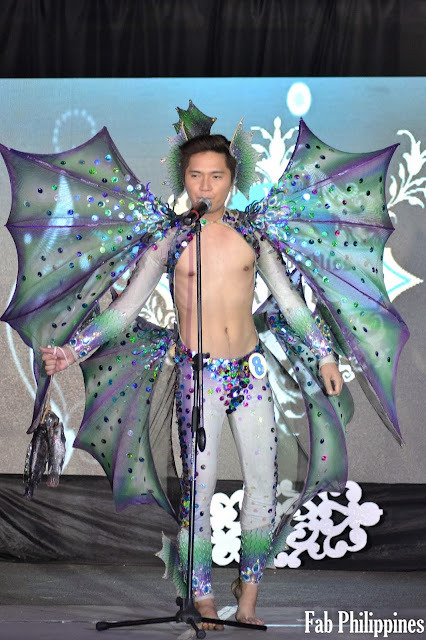 The Miss International 2013 pageant was held at the Shinagawa Prince Hotel in Tokyo, Japan. 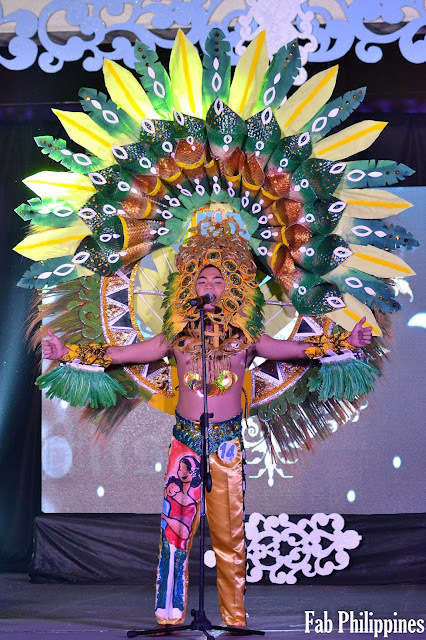 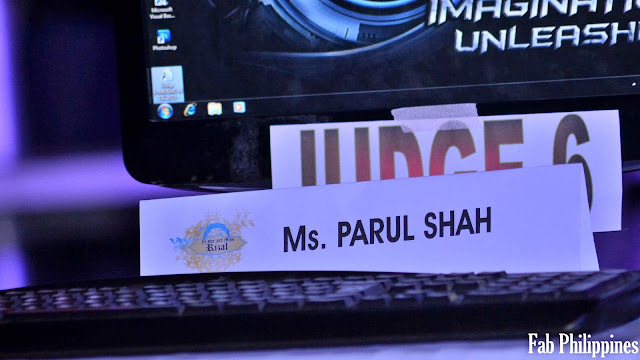 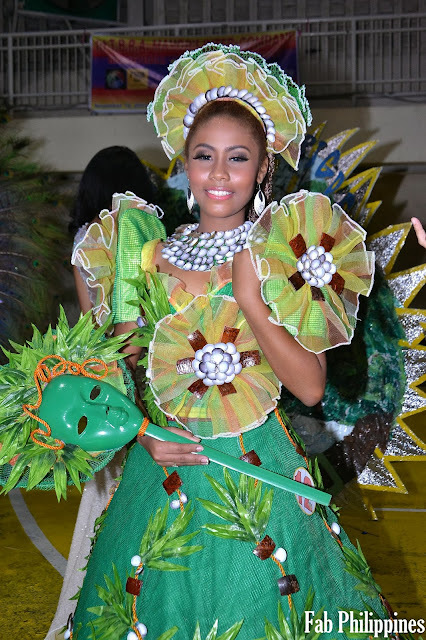 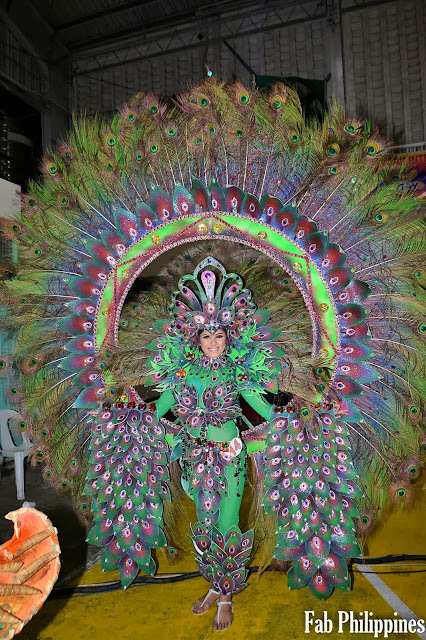 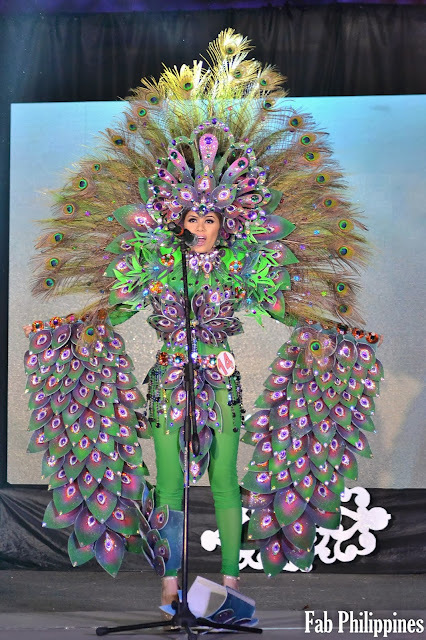 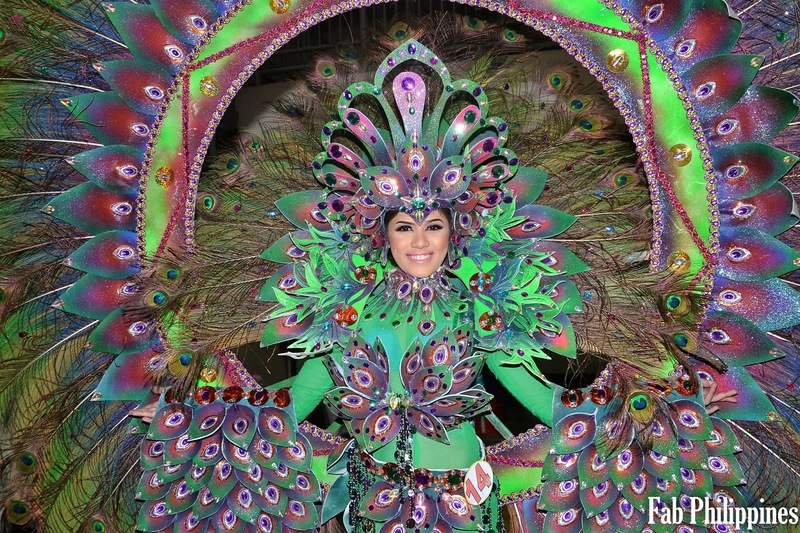 This is the 53rd edition of the Miss International pageant, and was participated in by 67 countries. 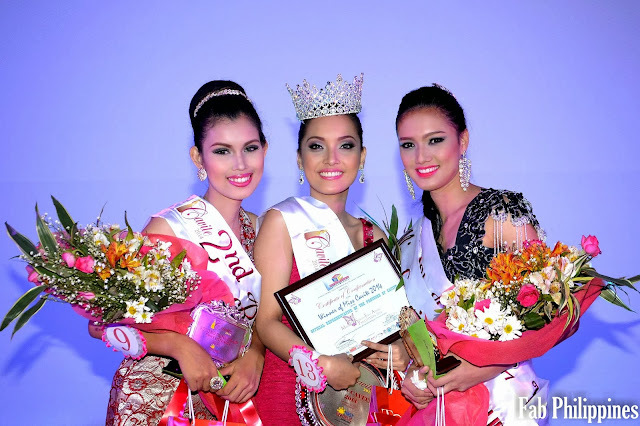 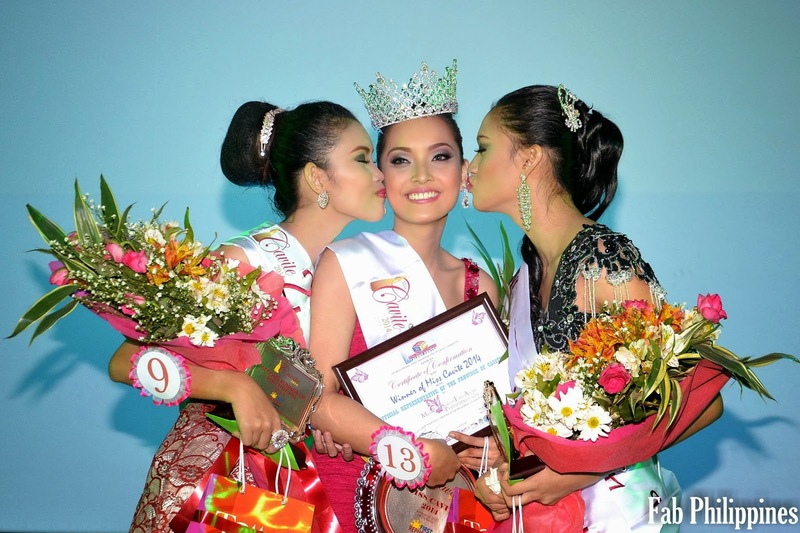 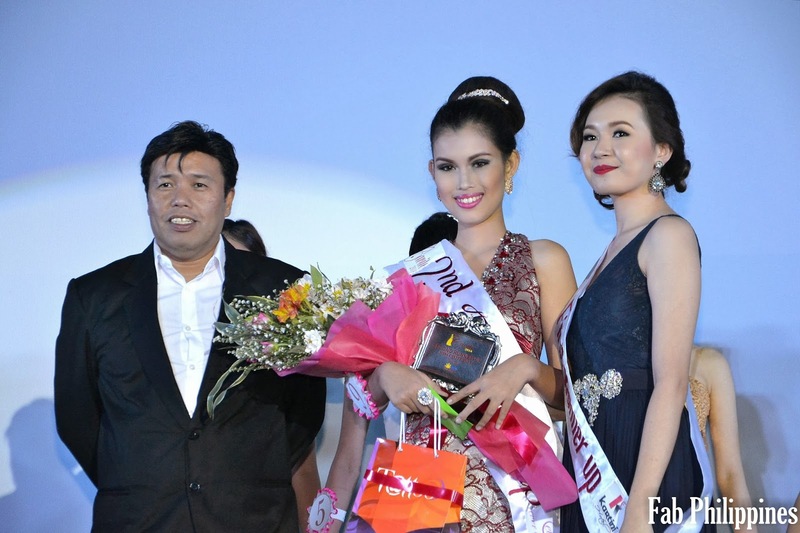 Following Bea are 1st runner up Nathalie den Dekker of the Netherlands, and 2nd runner up Casey Radley of New Zealand. 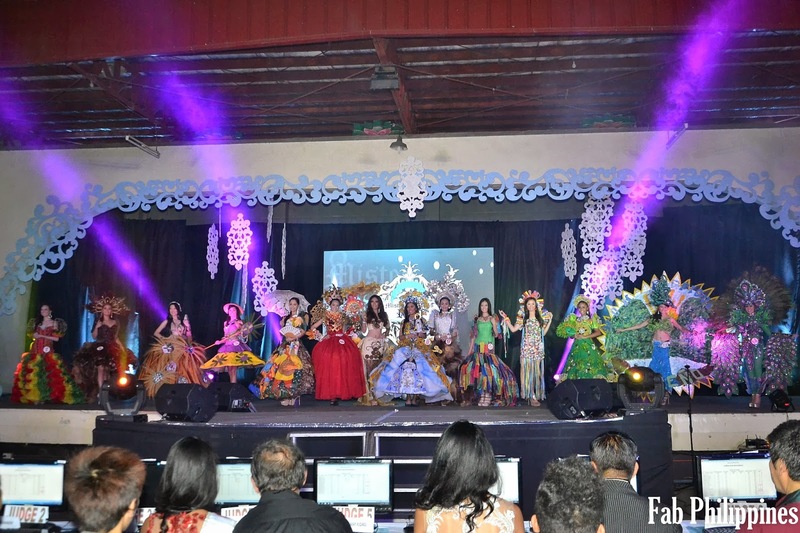 Lorena Hermida of Colombia and Brigitta Ötvős of Hungary completed the top 5. Rounding up the semifinalists were Jamielee Randall of Gibraltar, Cristina Alves da Silva of Brazil, Ashley Beth Perez Calderon of Puerto Rico, Nathaly Arroba Hurtado of Ecuador, Elma Segzdaviciute of Lithuania, Sigrún Eva Ármannsdóttir of Iceland, Olga Gaidabura of Russia, Chonticha Tiengtham of Thailand, and Araceli Carrilero Martinez of Spain. The country’s five Miss International crowns were won by Gemma Cruz in 1964, Aurora Pijuan in 1970, Melanie Marquez in 1979, Precious Lara Quigaman in 2005, and now Bea Rose Santiago in 2013. Bea’s impressive victory caps off an impressive year for Binibining Pilipinas Gold, following Mutya Johanna Datul’s Miss Supranational 2013 victory last September, Cindy Miranda’s Top 10 finish in the Miss Tourism Queen International 2013 pageant in October, and Ariella Arida’s 3rd runner up place in Miss Universe 2013. 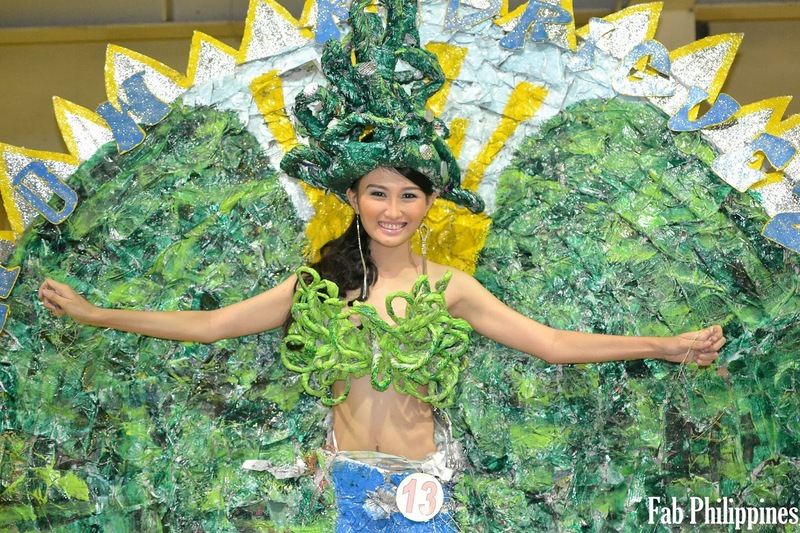 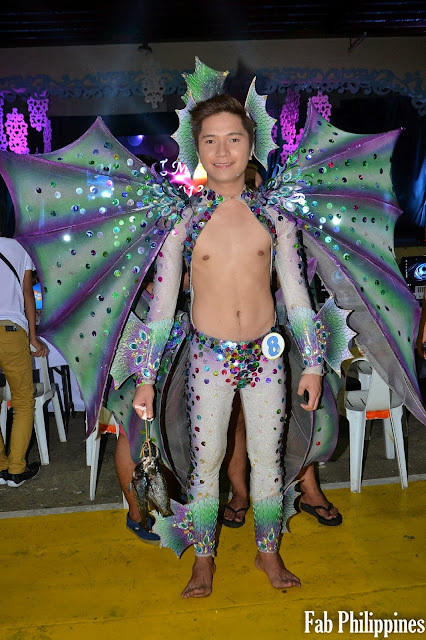 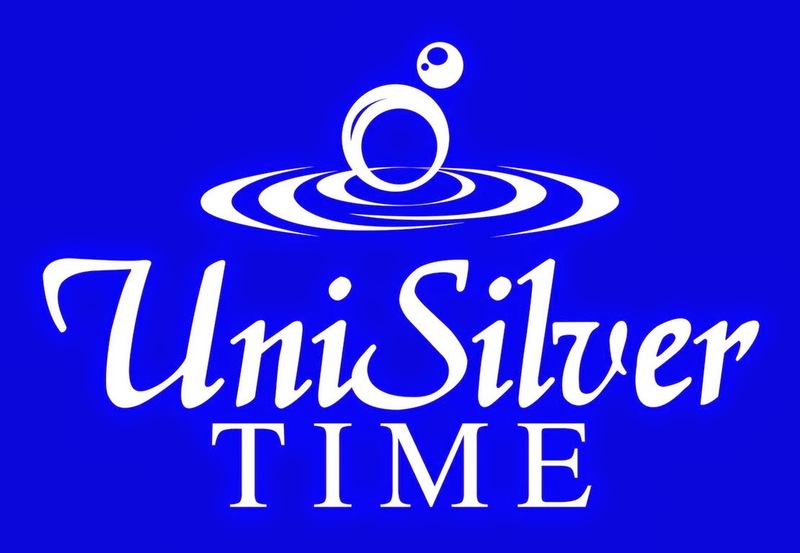 For more news on Binibining Pilipinas, visit www.bbpilipinas.com and the Binibining Pilipinas official Facebook page www.facebook.com/realbbpilipinas. Fore more pictures click here.